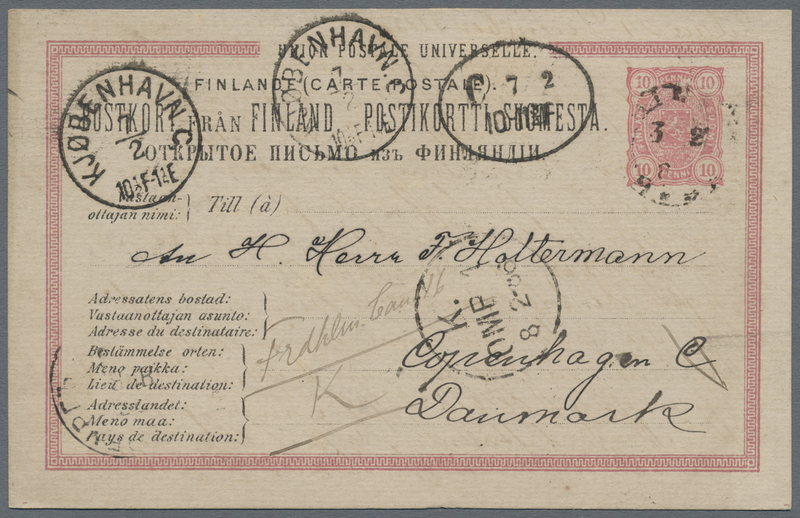 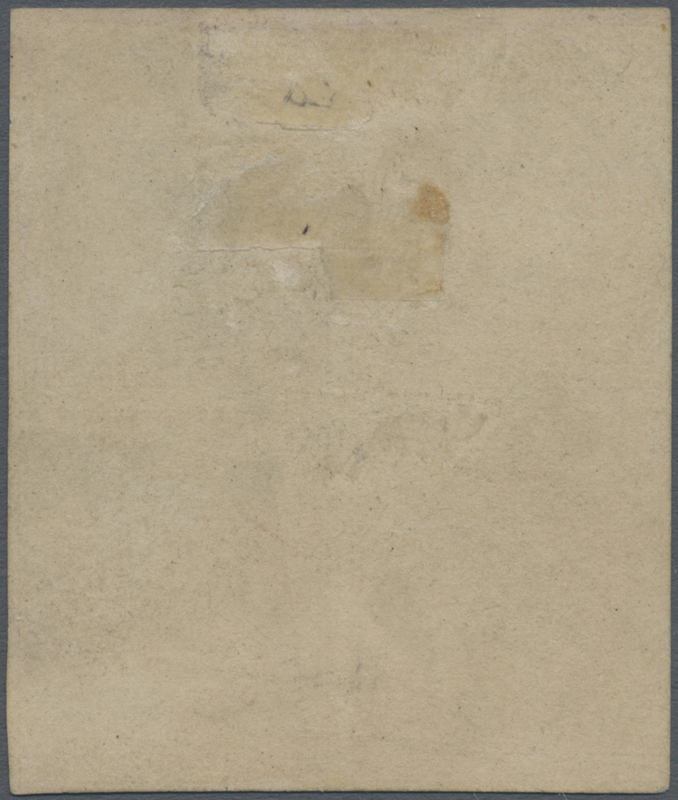 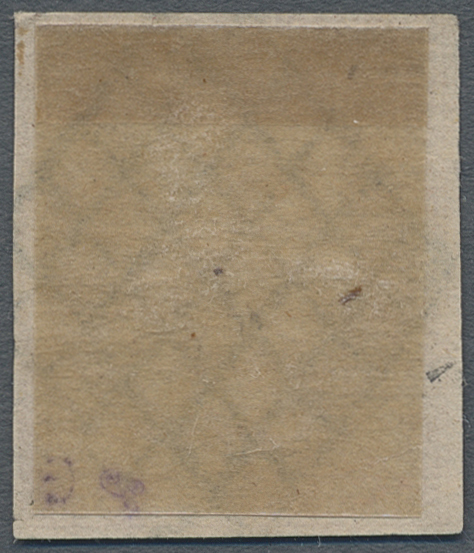 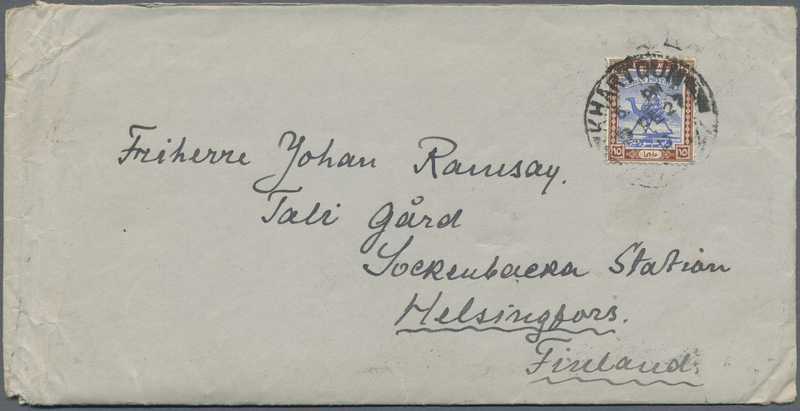 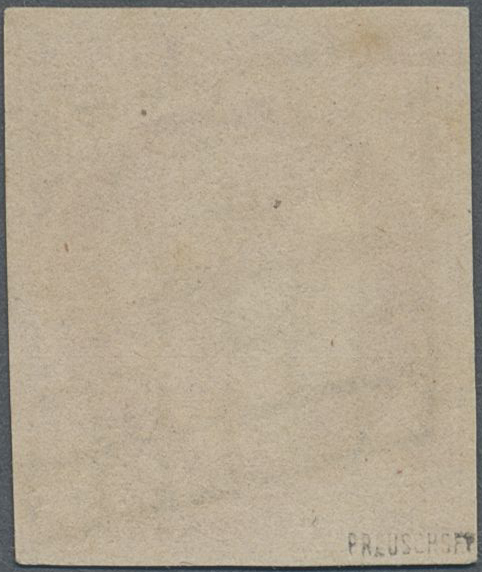 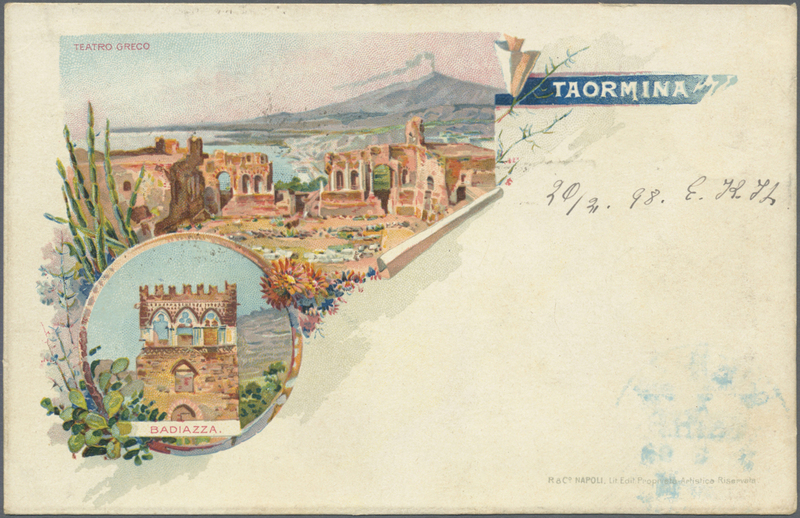 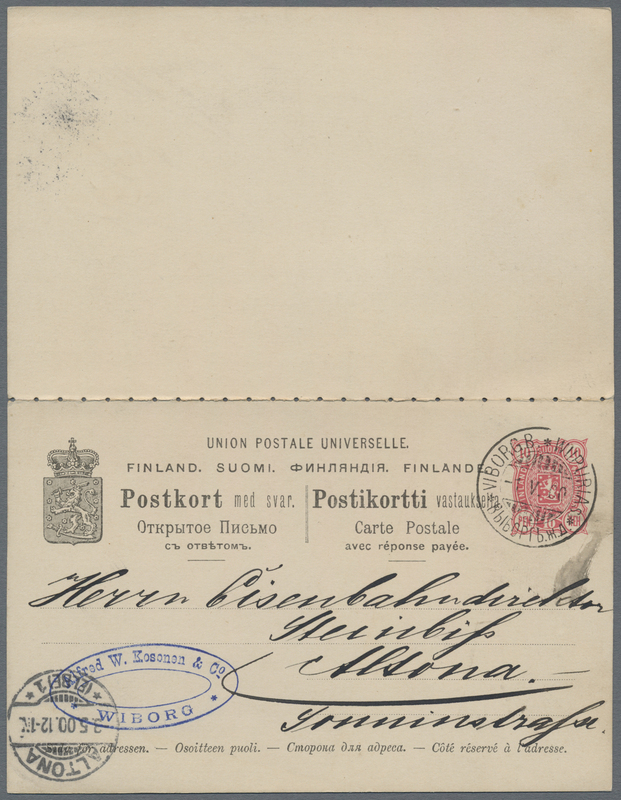 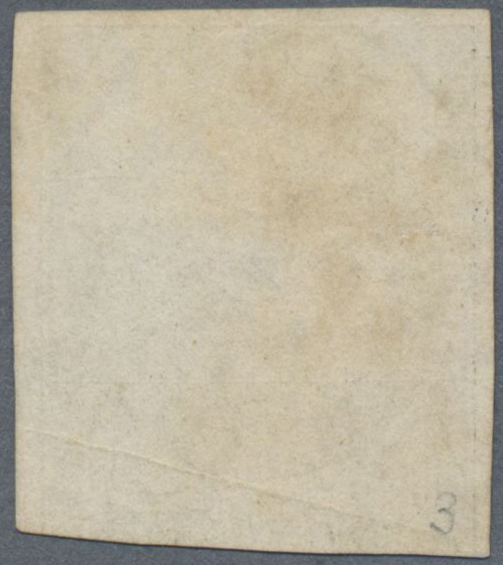 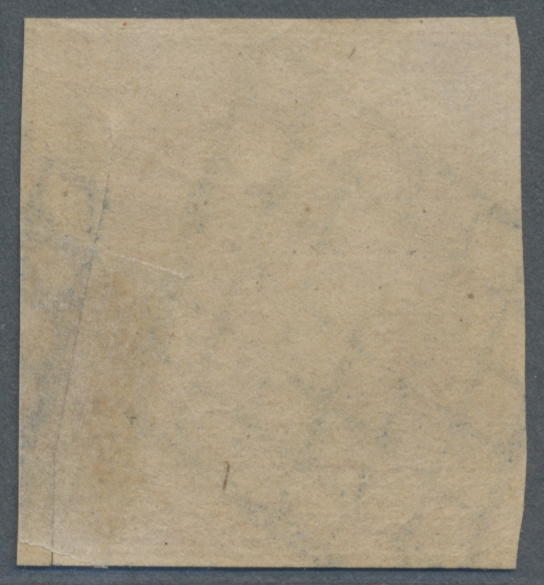 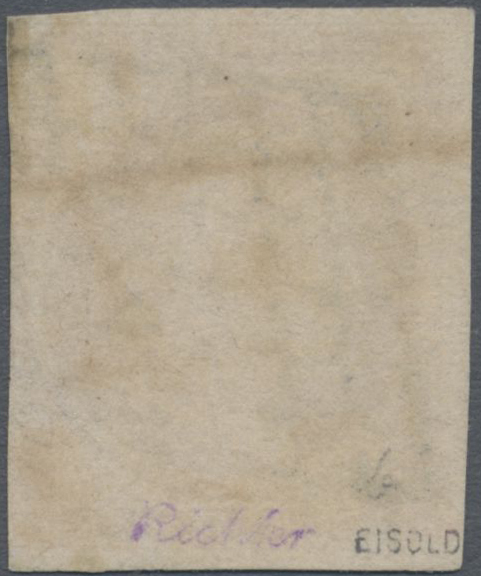 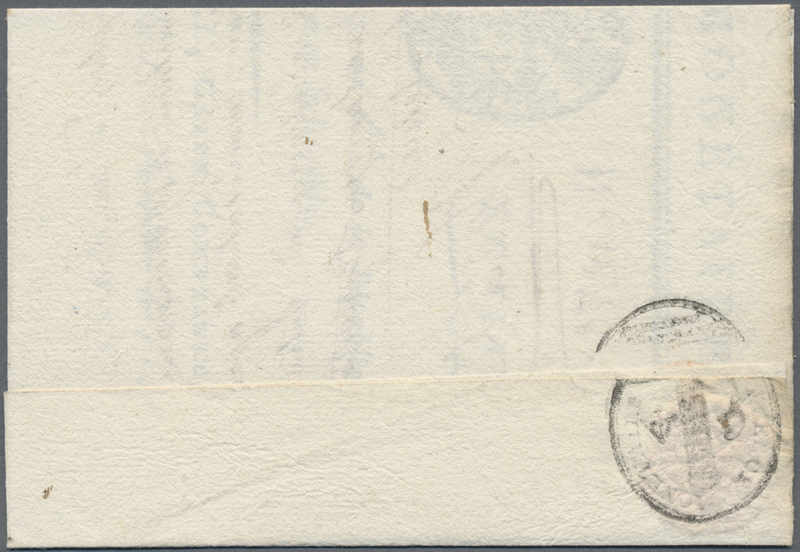 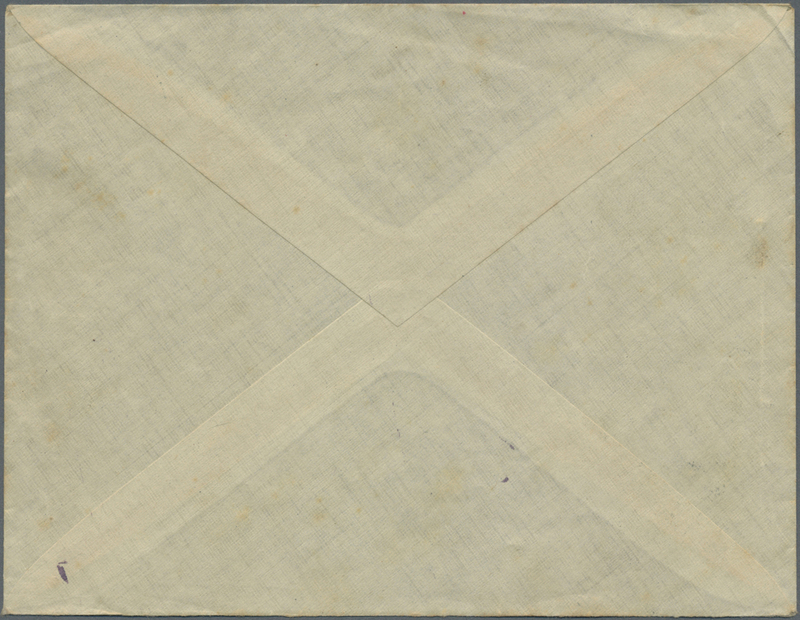 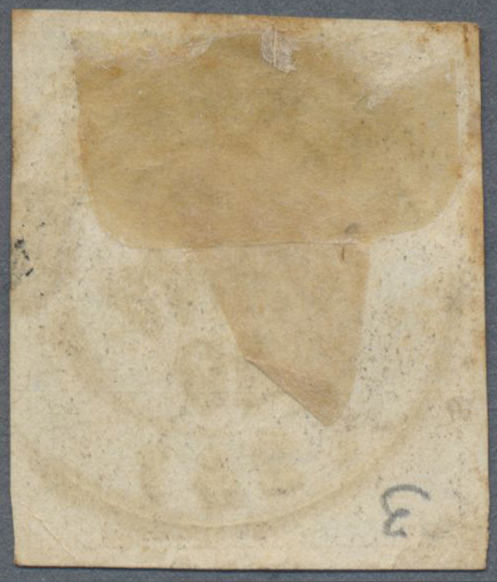 15499 Brief (cover) 1794. 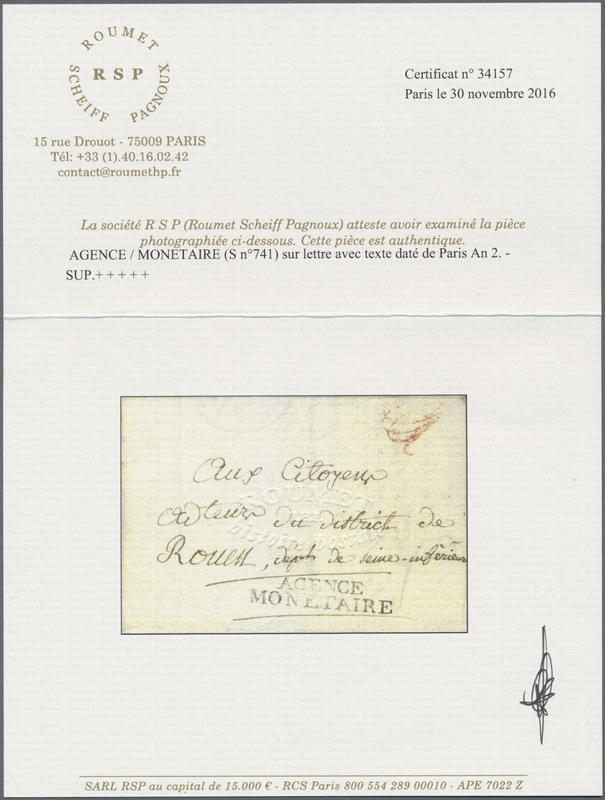 Administrative mark from "Agence Monetaire". 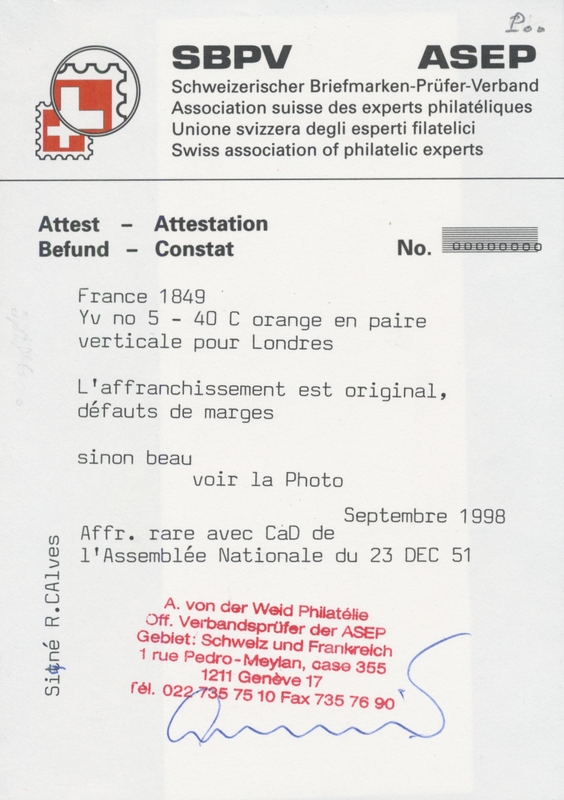 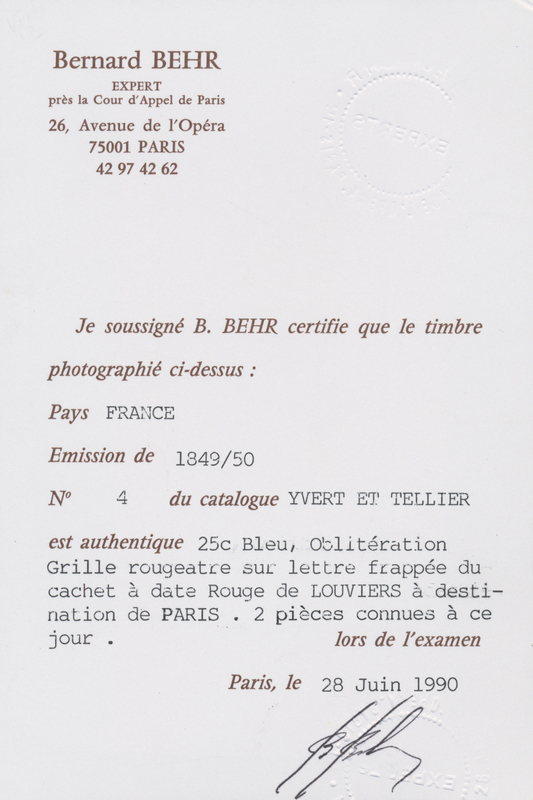 Photo certificate by RSP (2016). 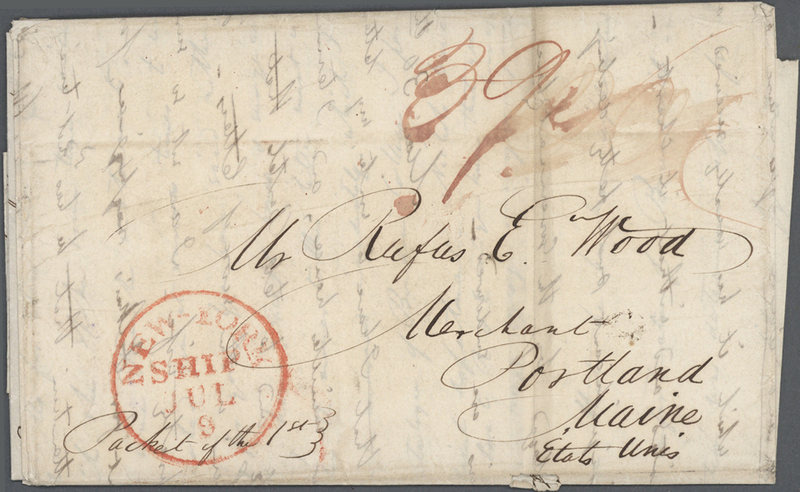 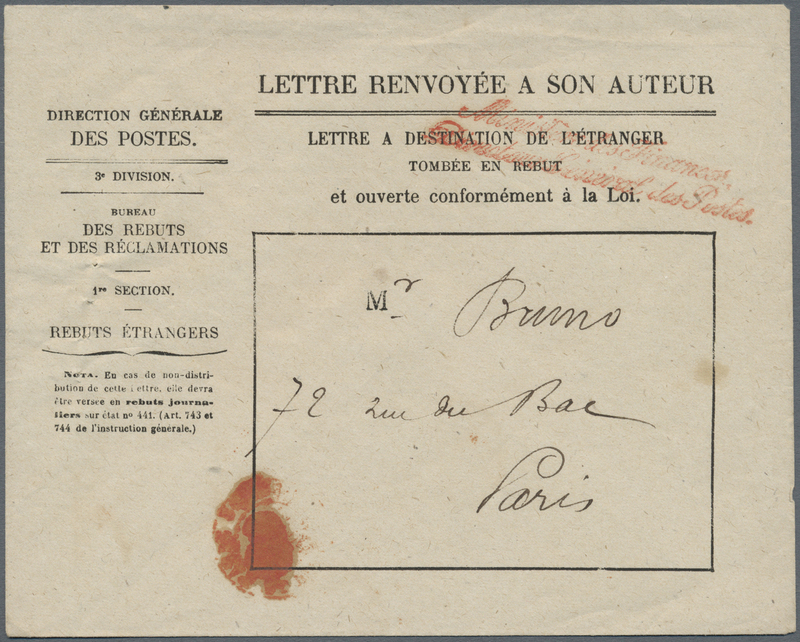 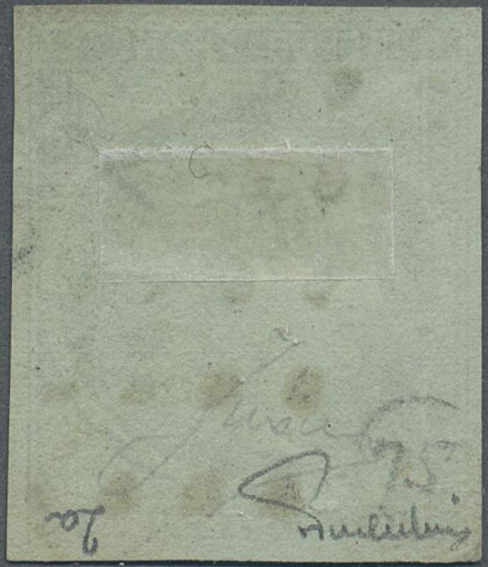 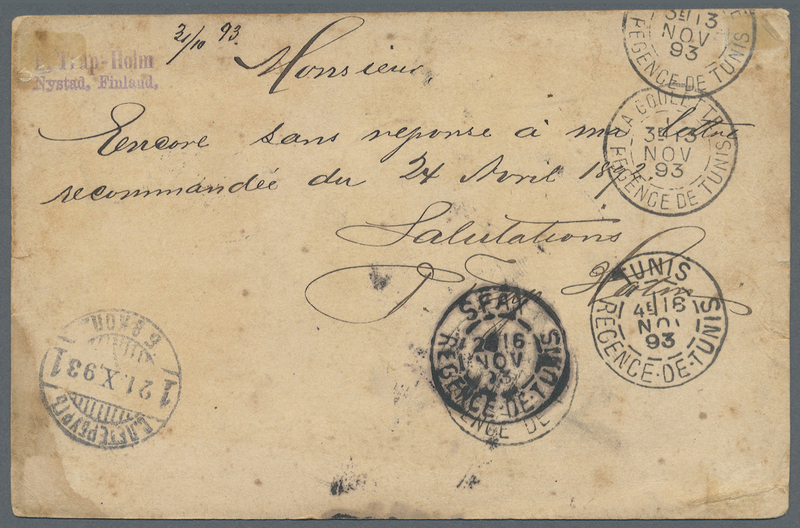 15503 Brief (cover) 1840: NAPOLEON I, THE RETURN OF HIS ASHES FROM THE ISLAND OF ST. HELENA TO FRANCE. 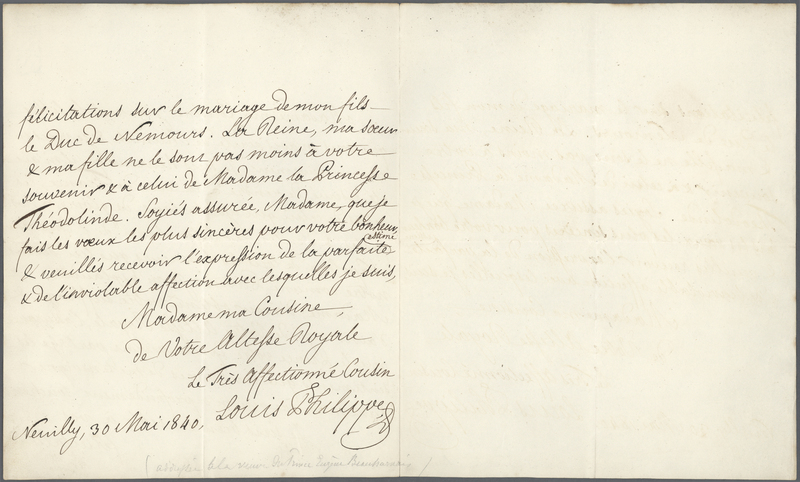 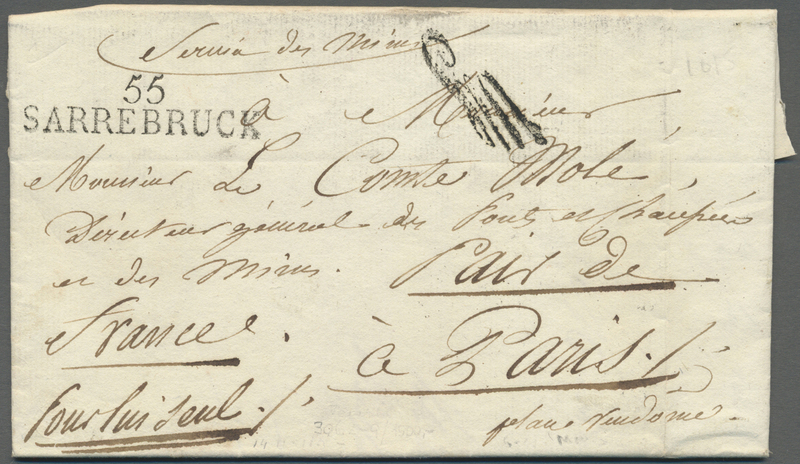 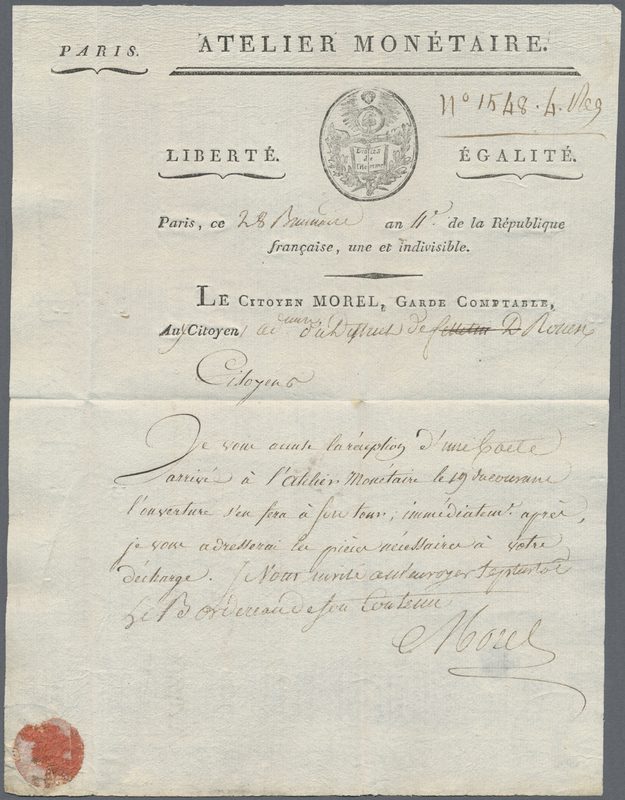 Two page autograph letter signed by the French King Louis Philippe I (6 October 1773 – 26 August 1850) written in "Neuilly 30 Mai 1840“ and sent to Princess Augusta of Bavaria (Strasbourg, 21 June 1788 – Munich, 13 May 1851). 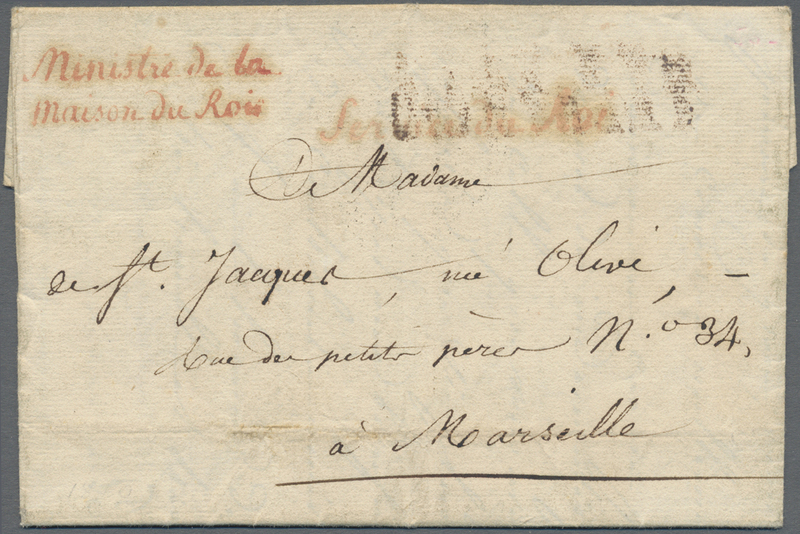 Augusta was the widow of Eugène de Beauharnais, stepson of Napoleon I. 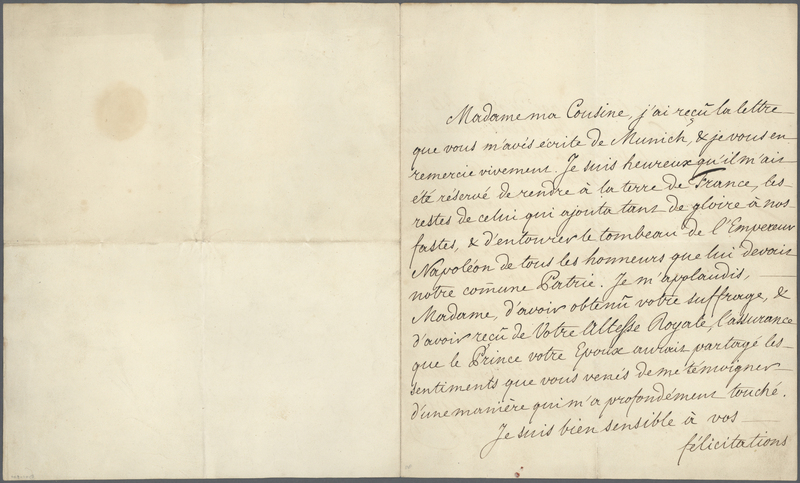 In this letter Louis Philippe describes in vibrant terms the reasons that convinced him to decide for the historical chance to RETURN THE MORTAL REMAINS OF NAPOLEON I FROM THE ISLAND OF ST. HELENA TO FRANCE and finally to his tomb in the "Hotel des Invalides“ in Paris. 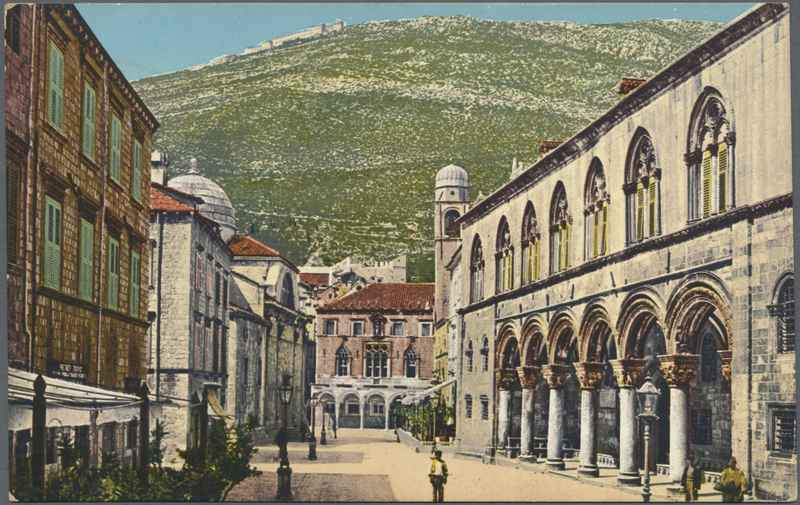 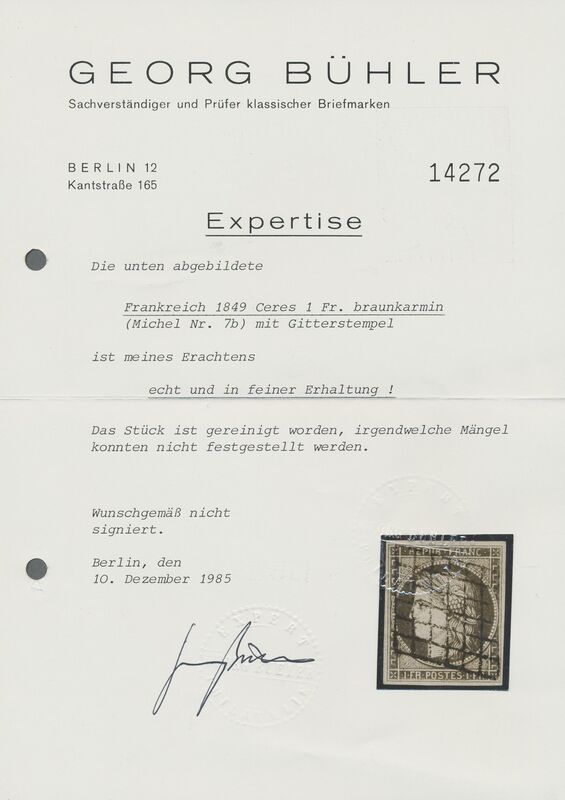 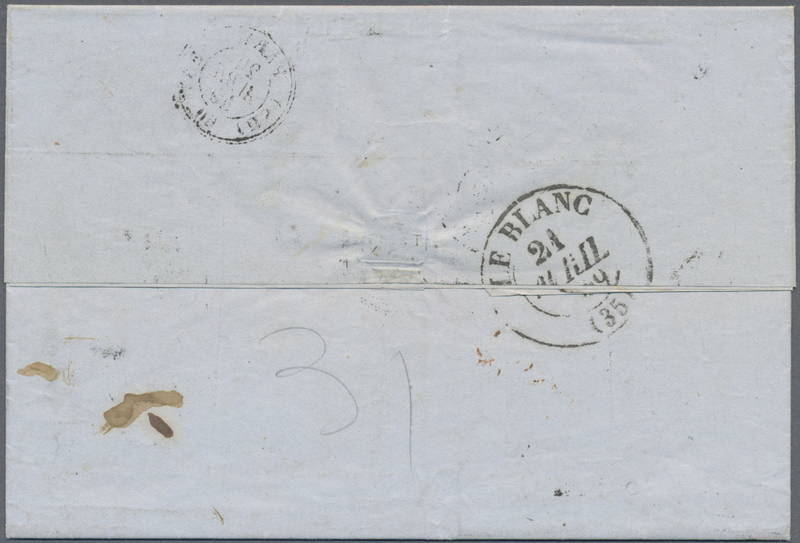 15509 Brief (cover) 3 1849 Ceres 20c. 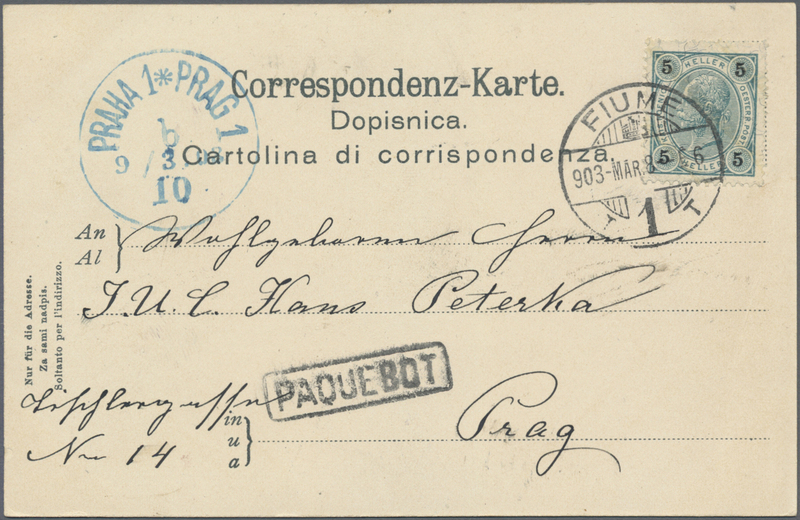 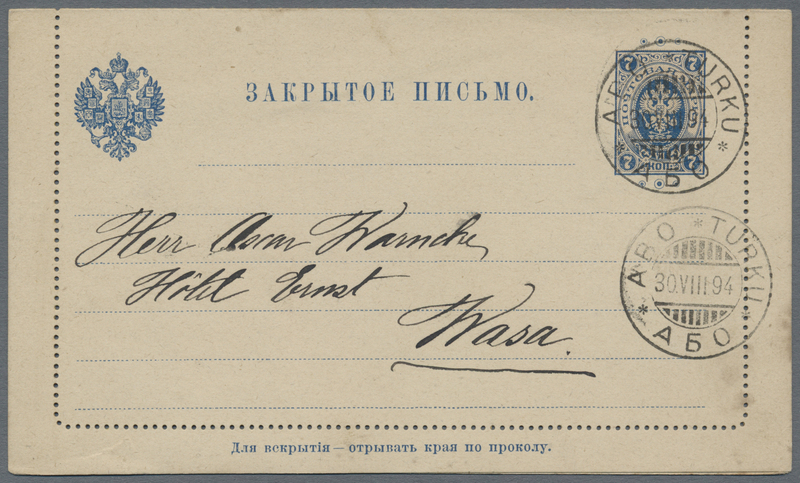 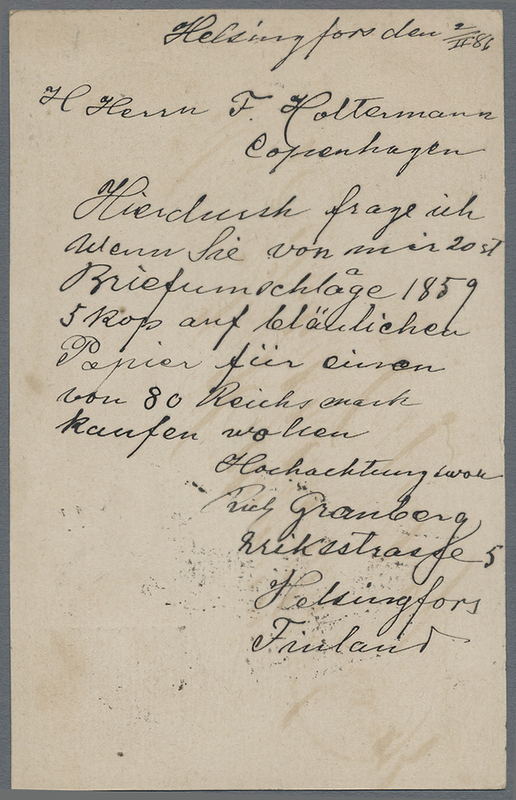 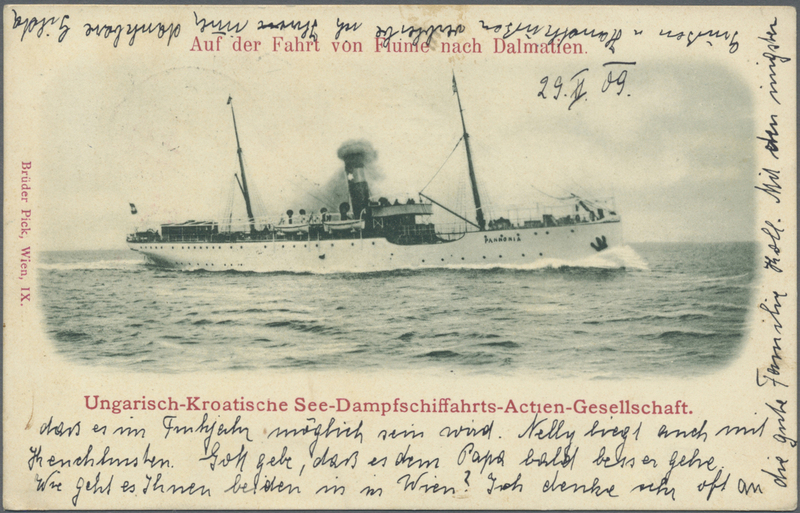 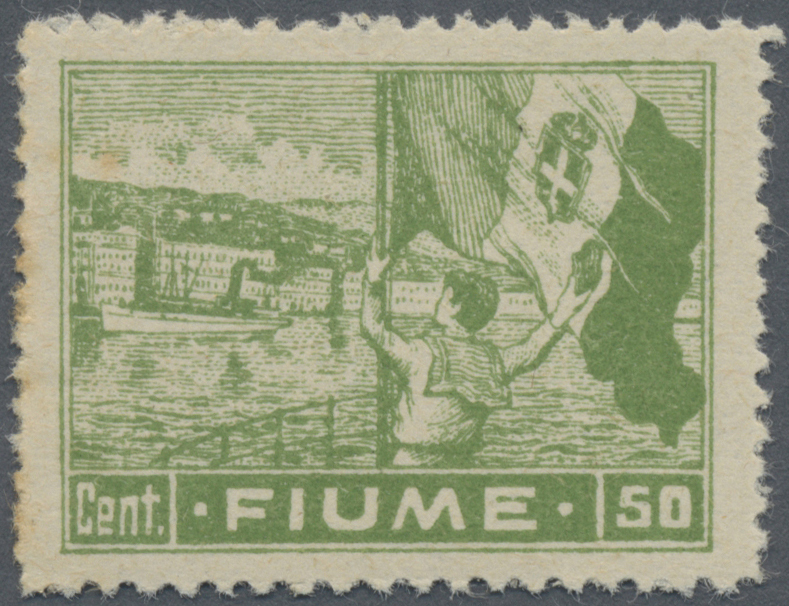 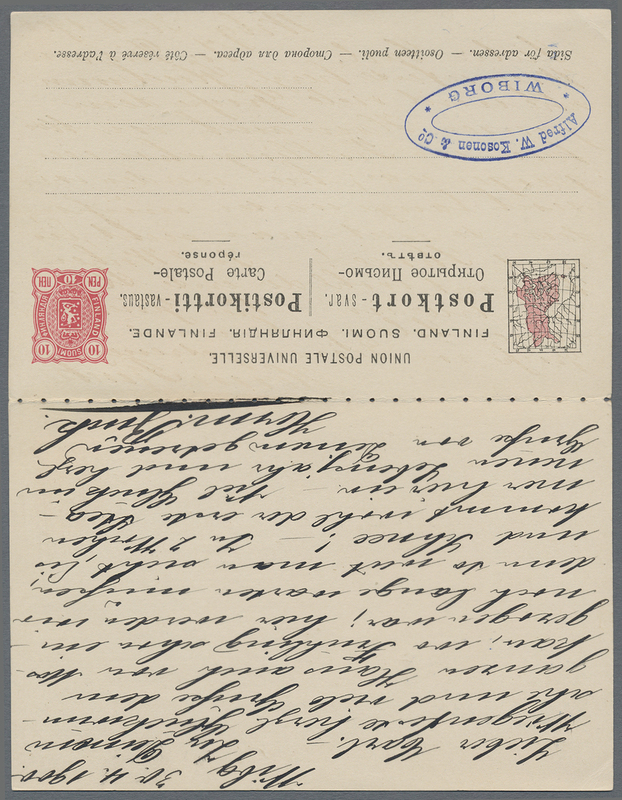 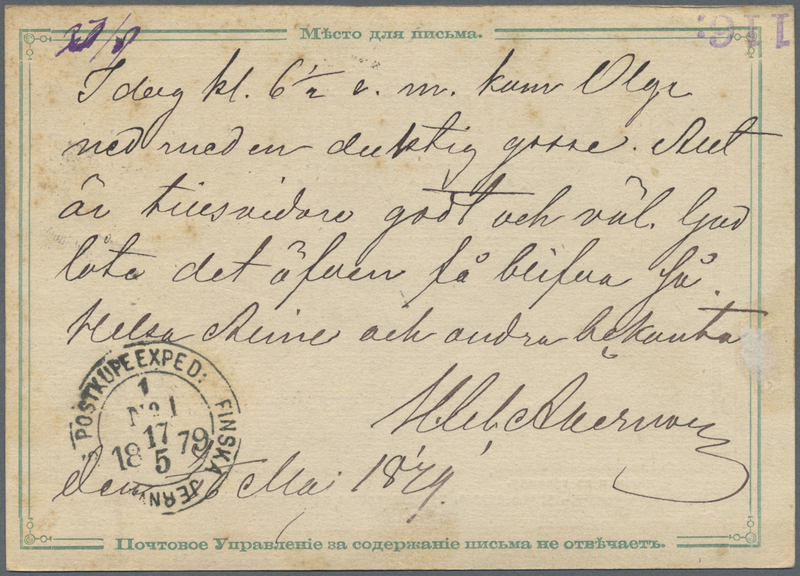 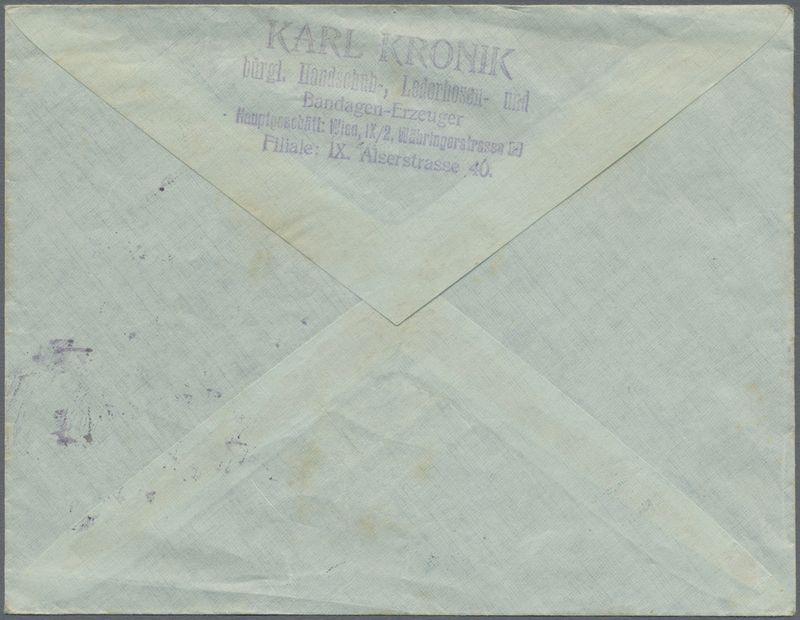 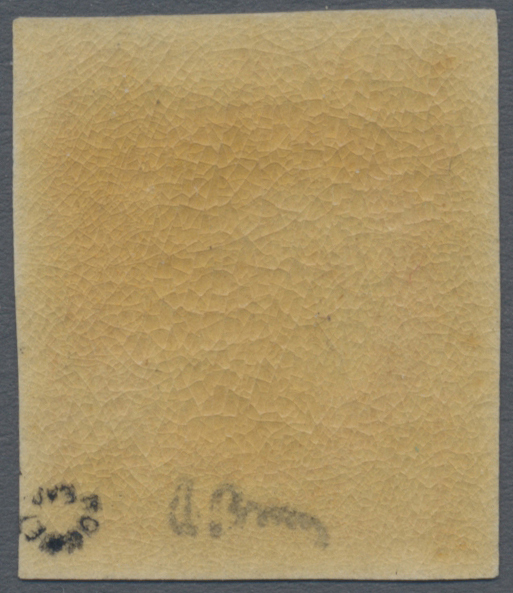 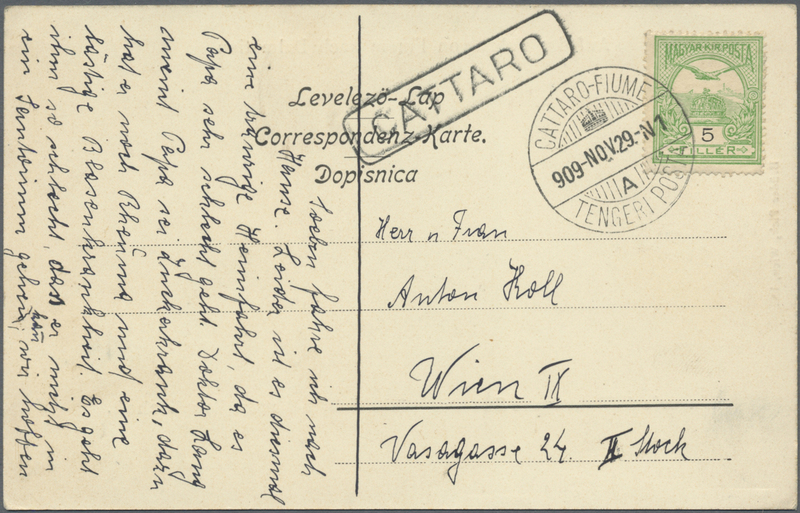 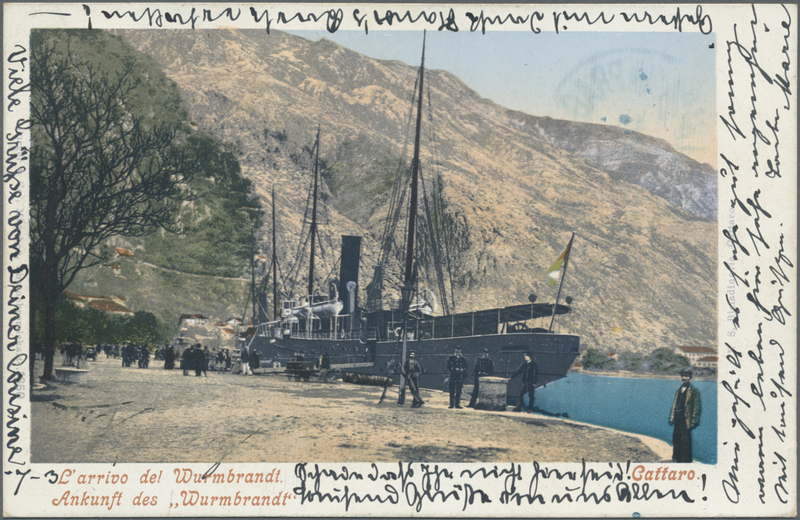 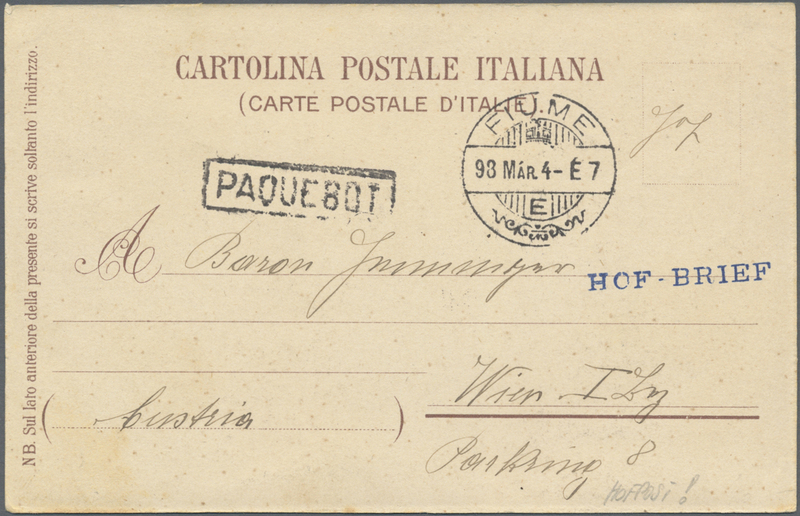 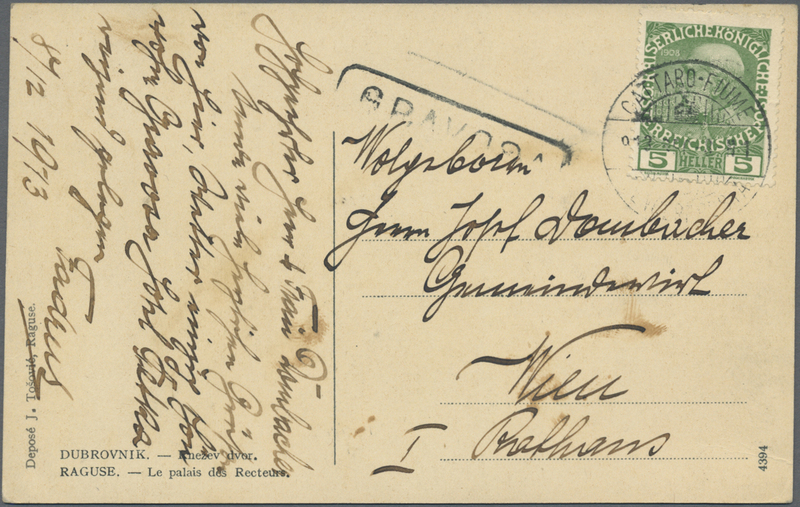 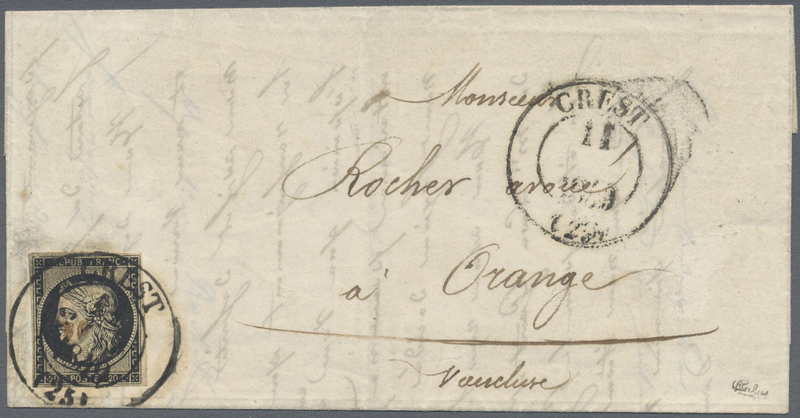 black on yellowish paper used on entire letter from Cholet, Dép. 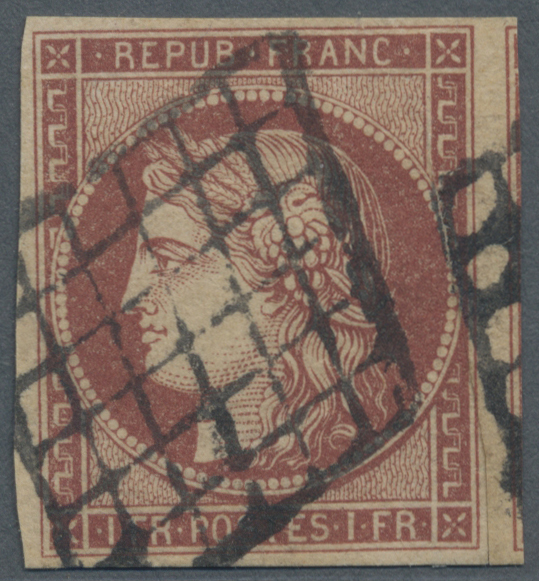 Maine-et-Loire to Vrigne-aux-Bois, Dép. 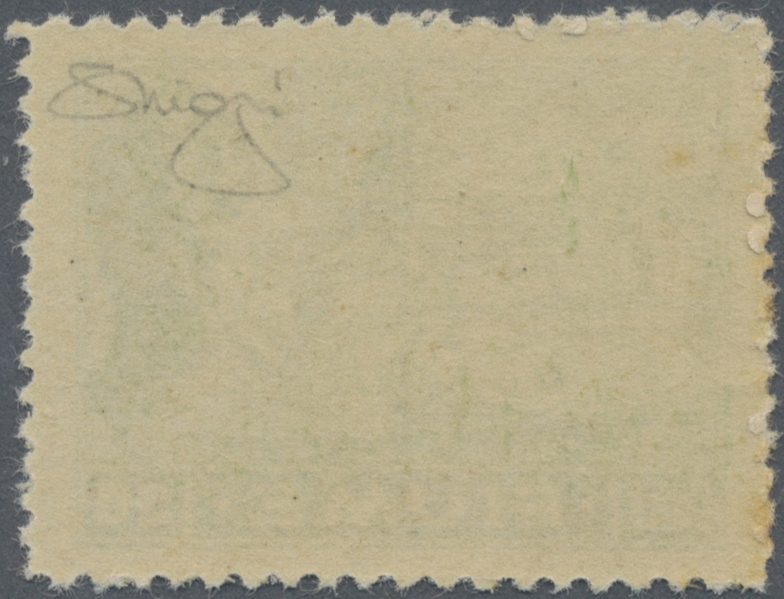 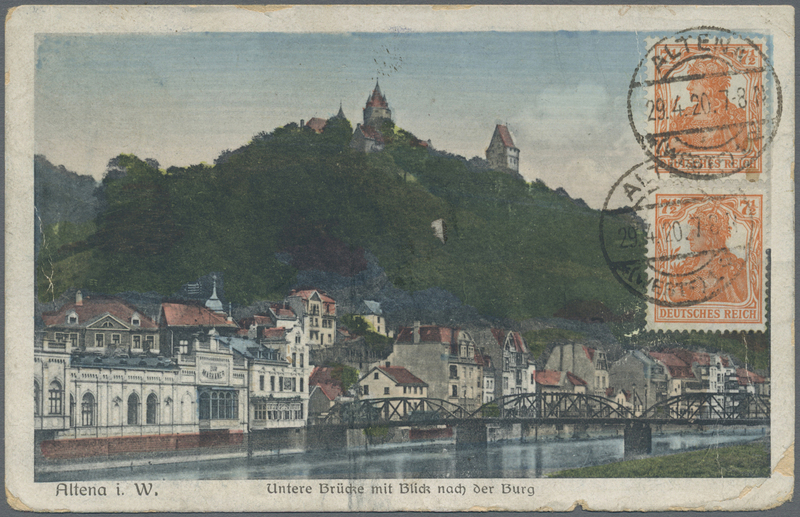 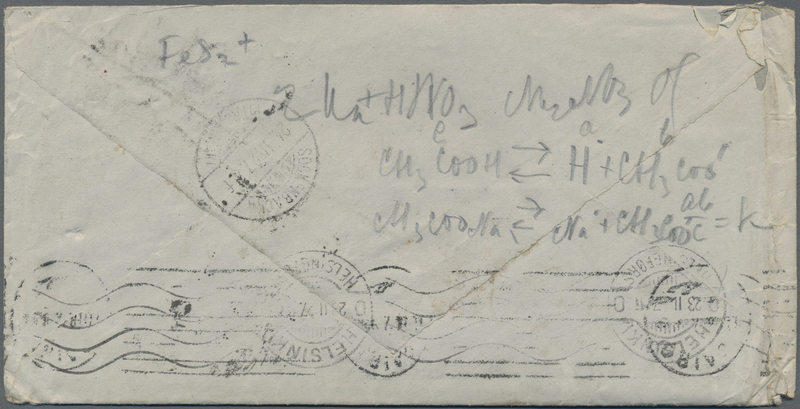 Ardennes tied by black grid h/s, with Cholet '29 Aug 49' despatch cds on front, and on the reverse with 'Ligne-de-Tours' and 'Route No.3' transit datestamps as well as Donchery '31. 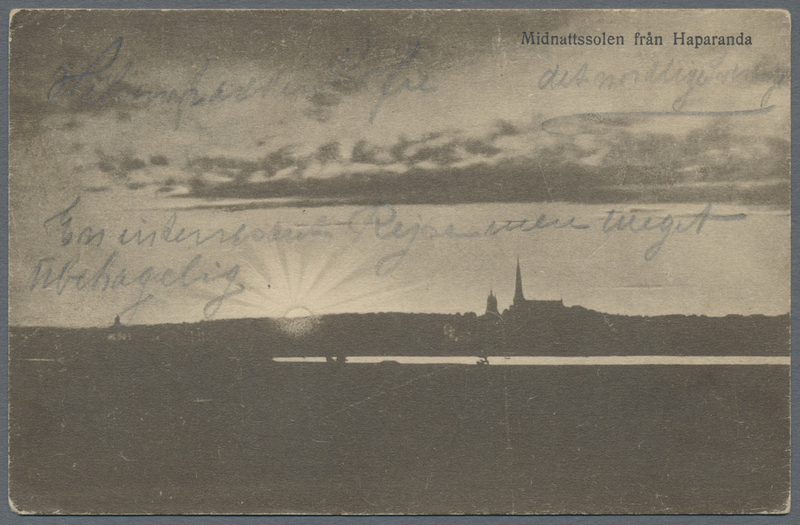 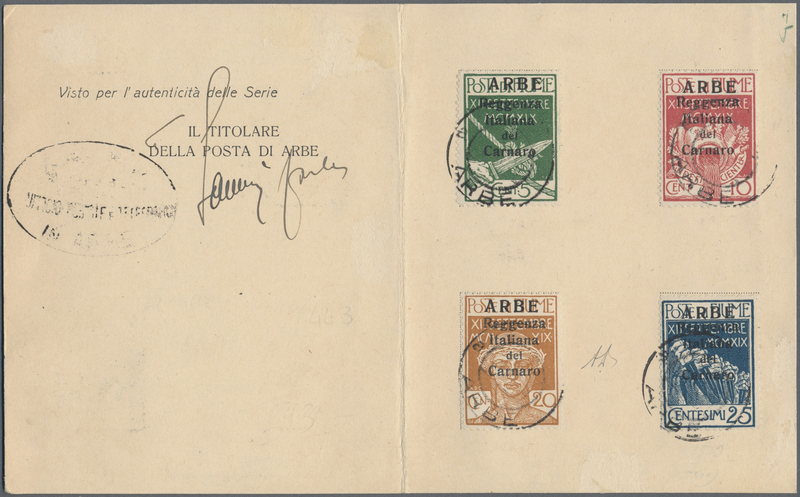 Aug. 49' arrival cds. 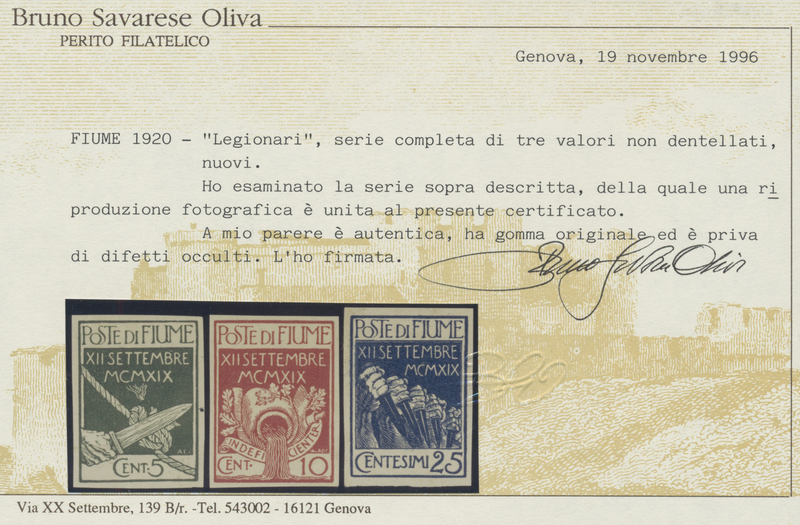 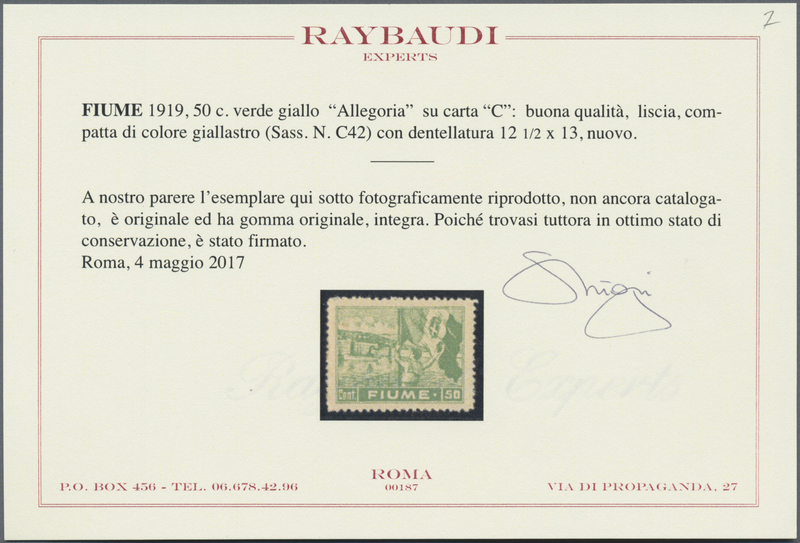 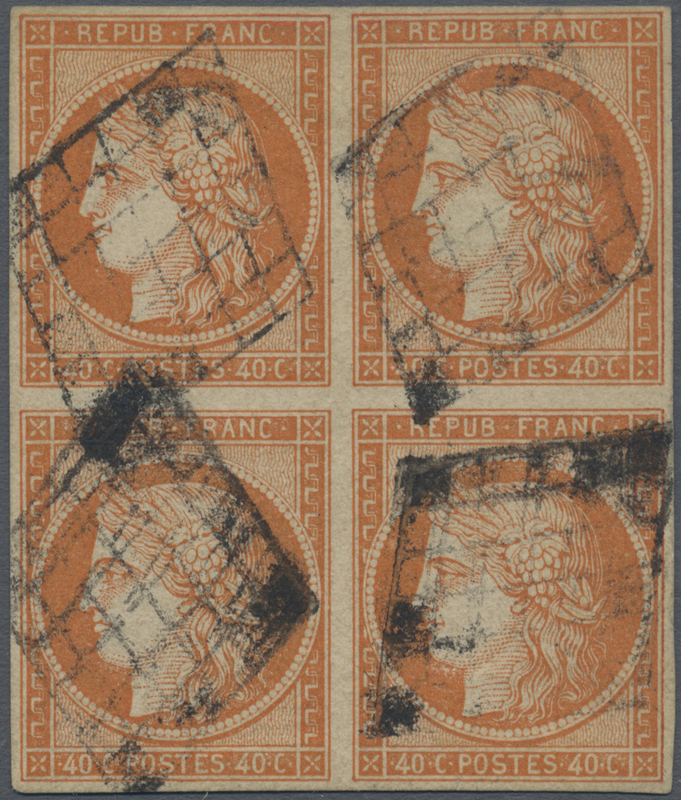 The stamps with slighty touched/cut margins at top and right otherwise fine. 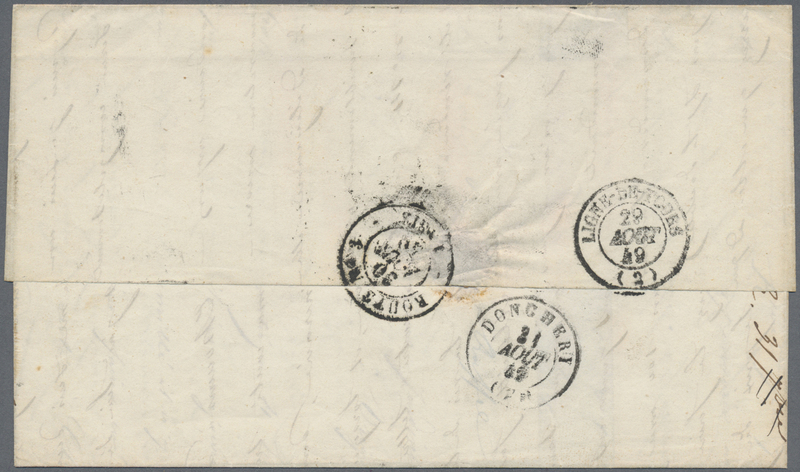 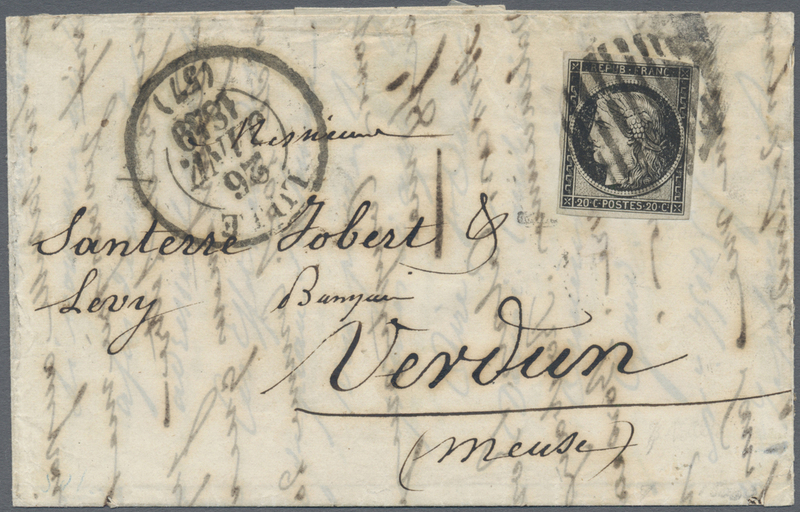 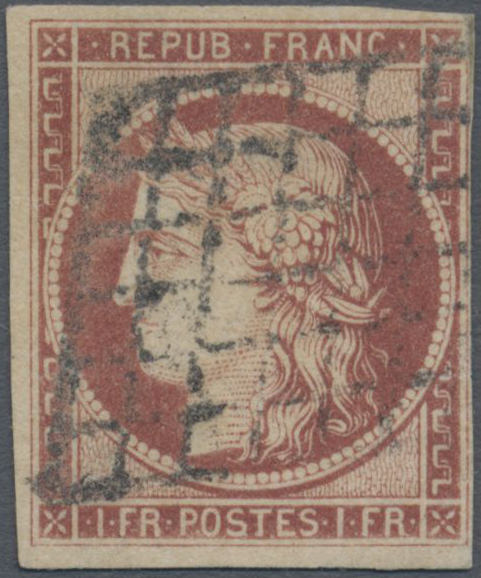 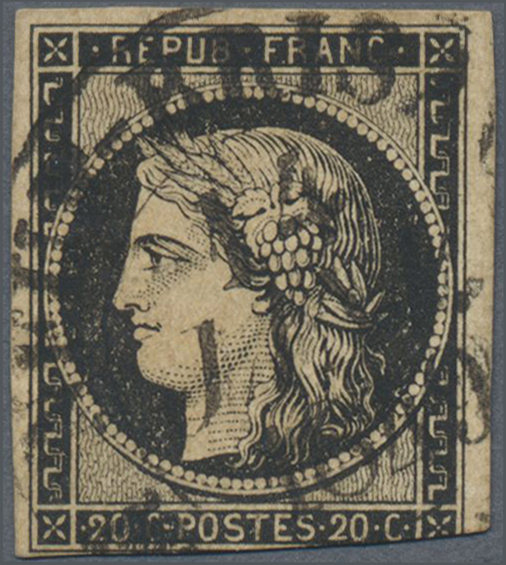 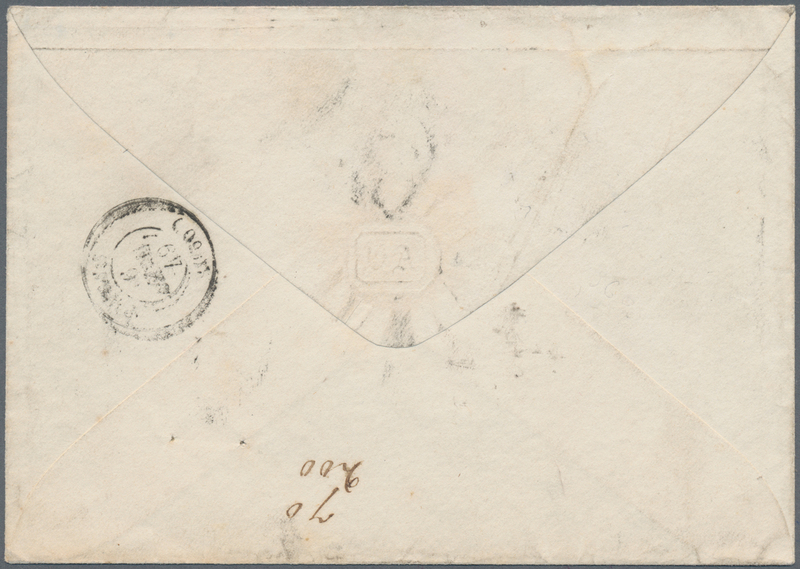 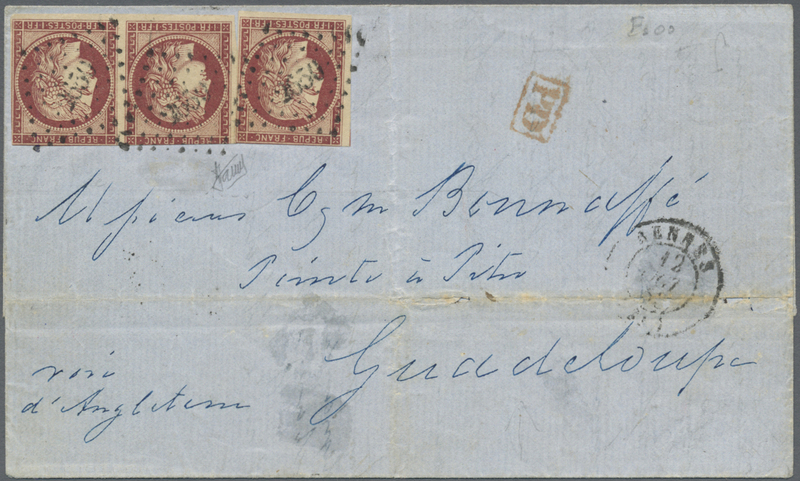 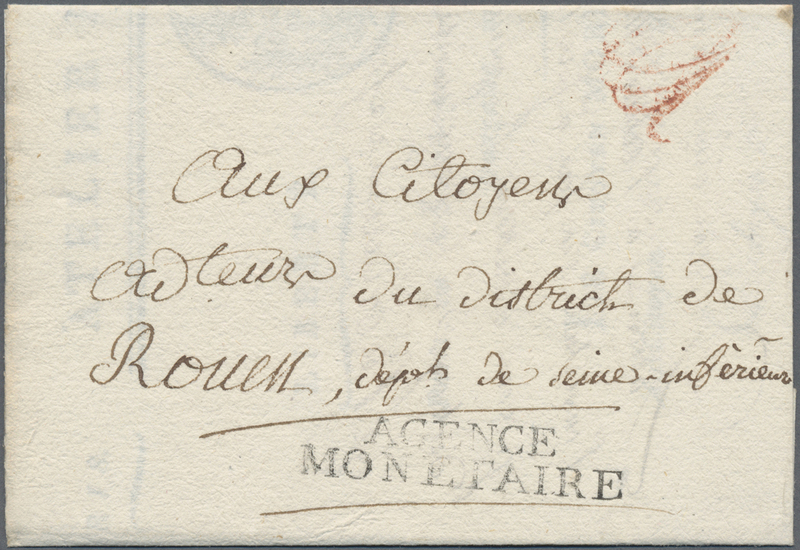 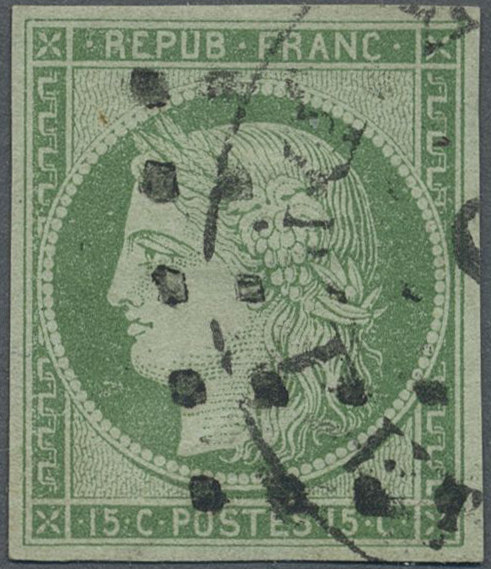 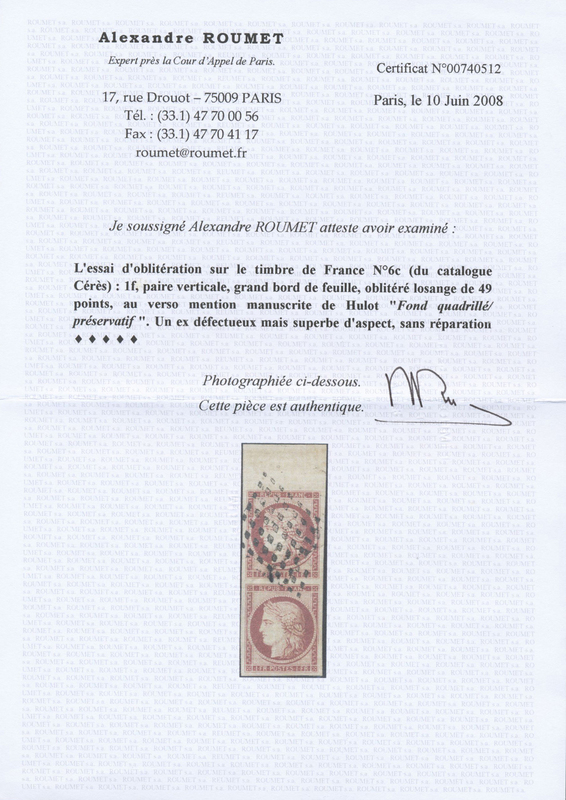 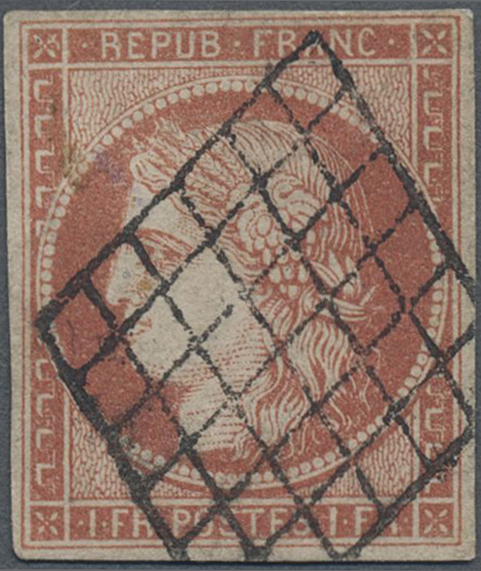 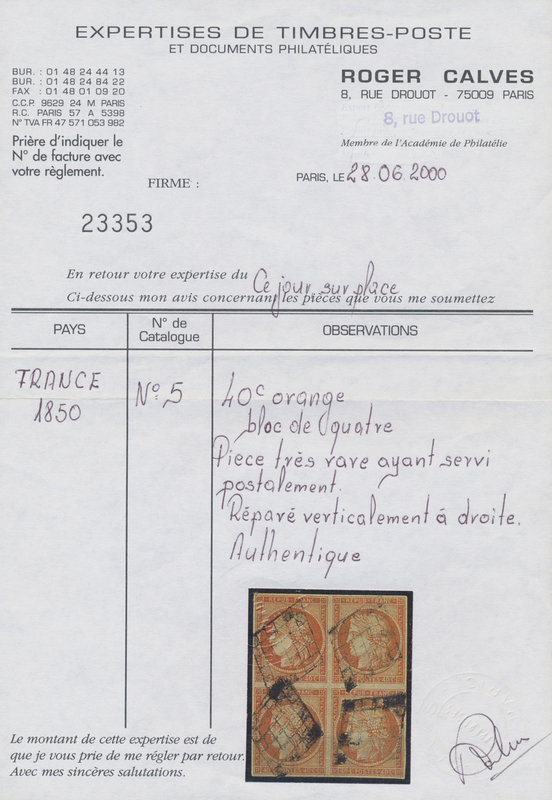 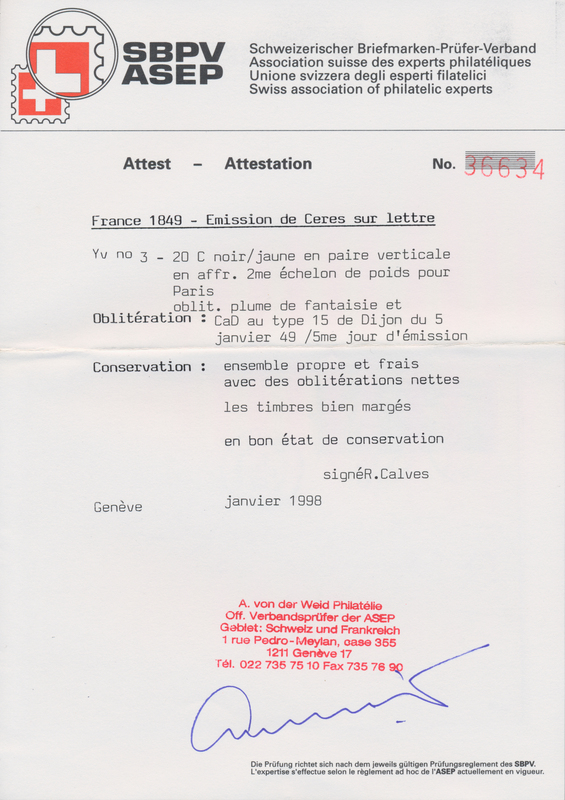 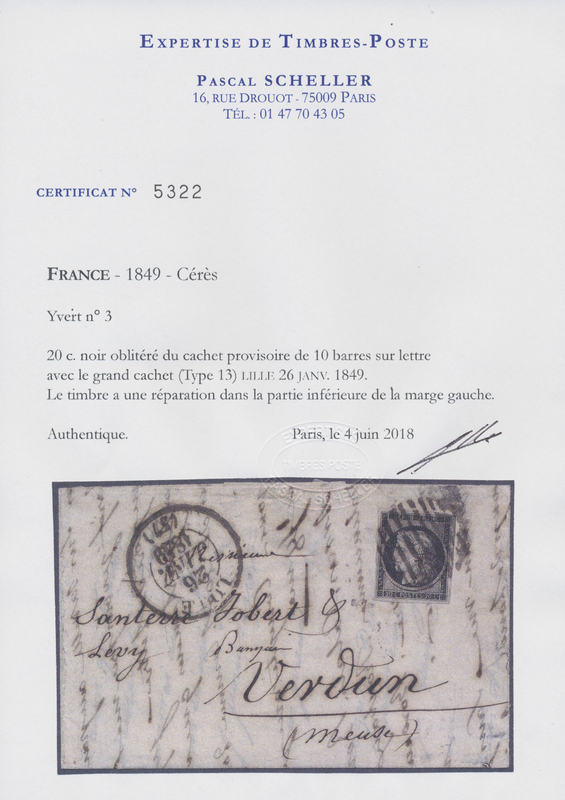 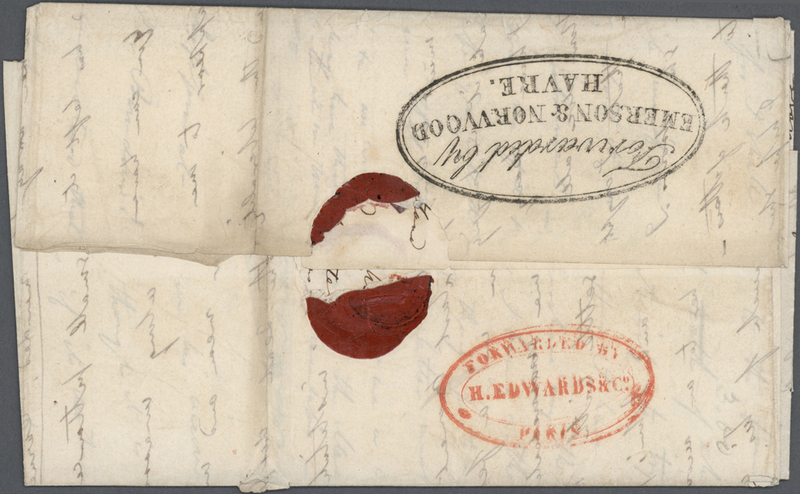 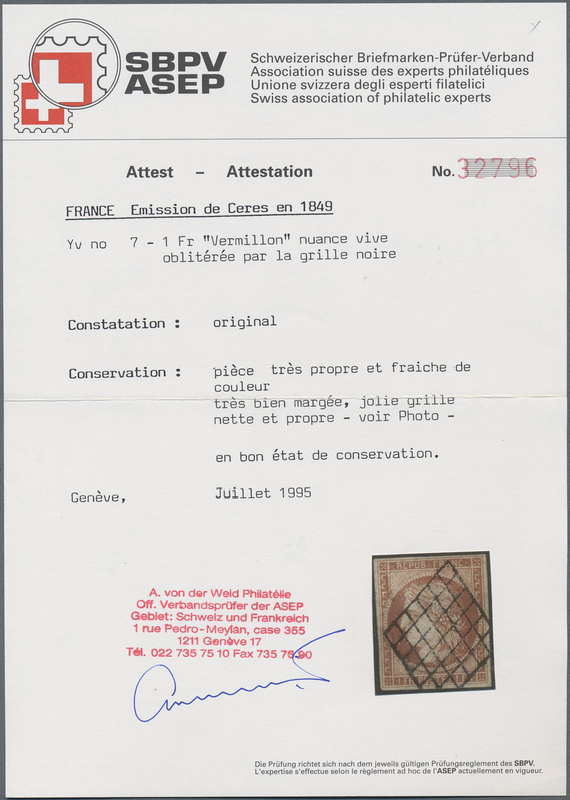 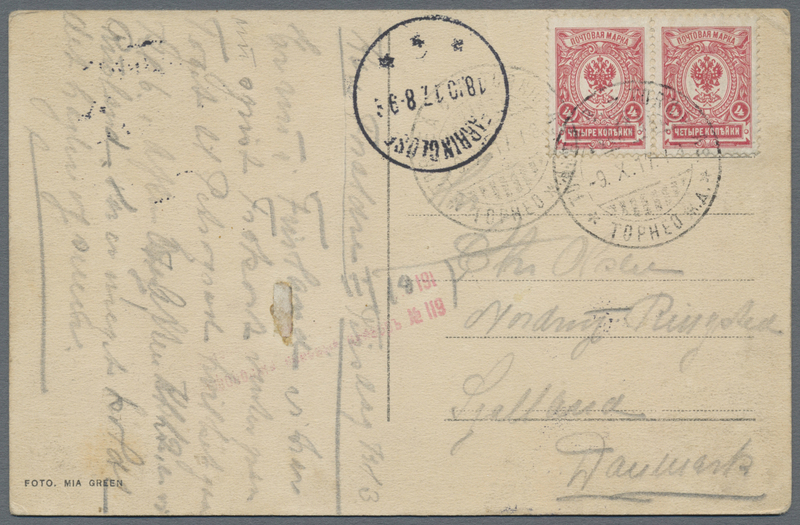 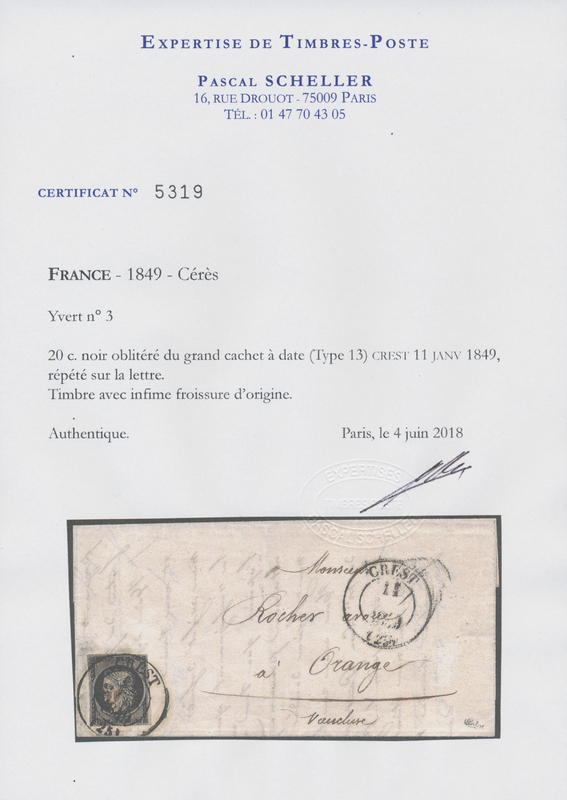 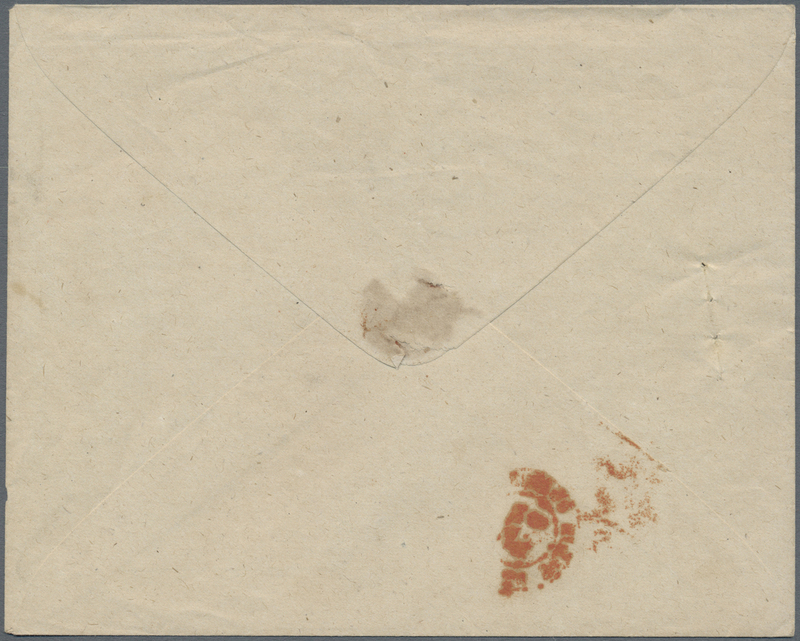 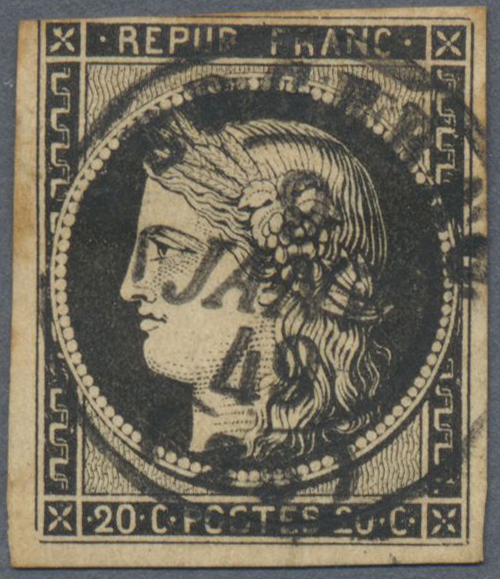 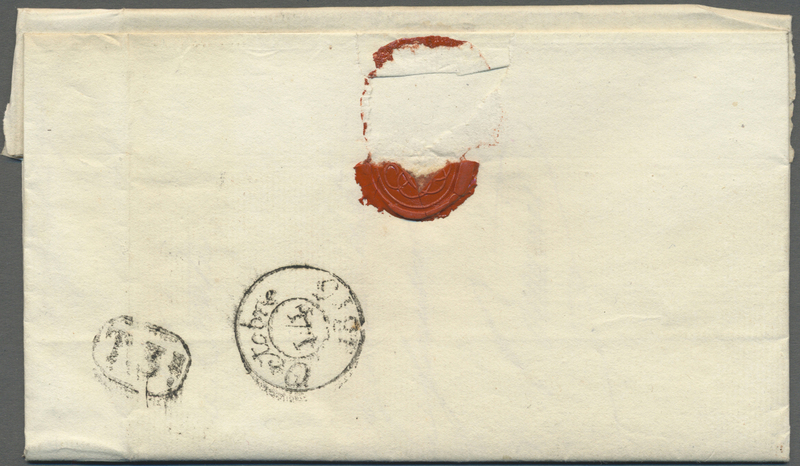 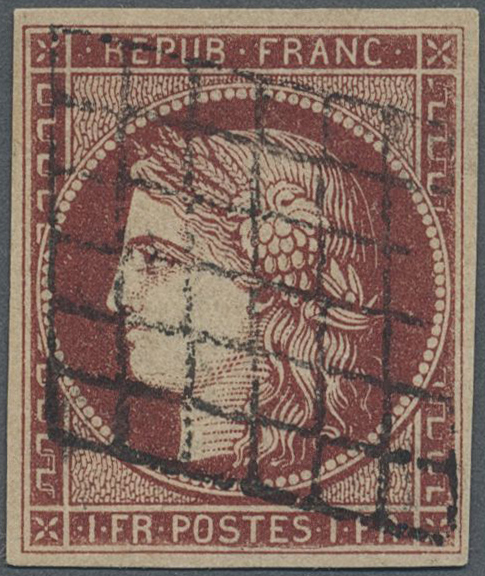 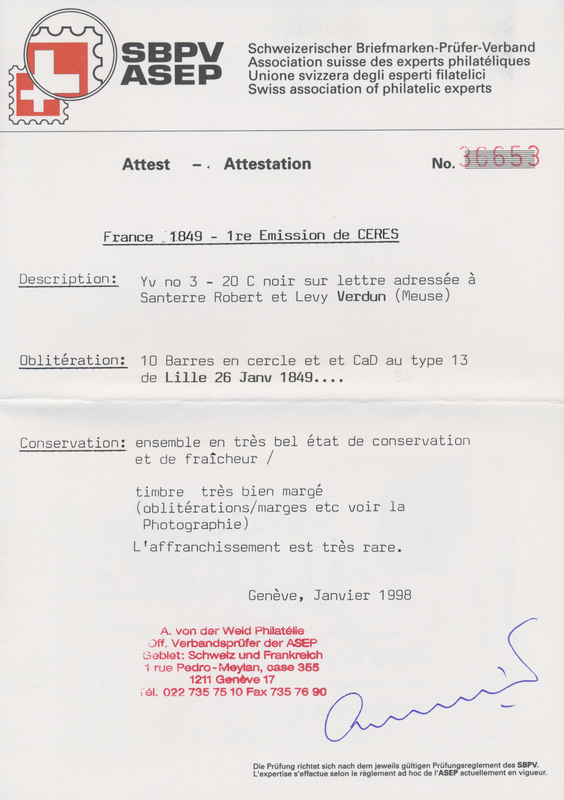 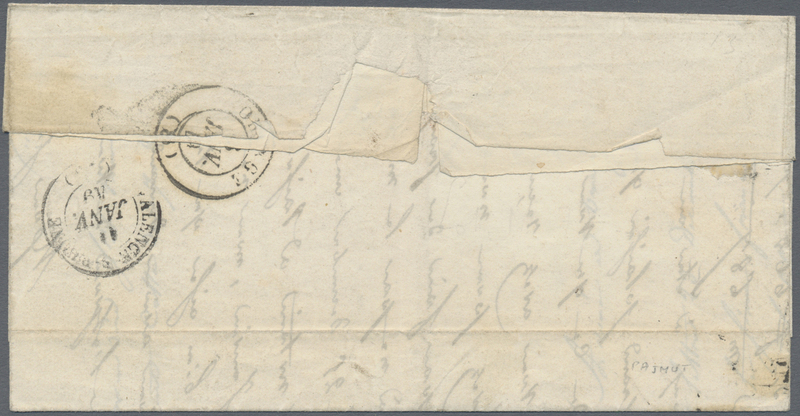 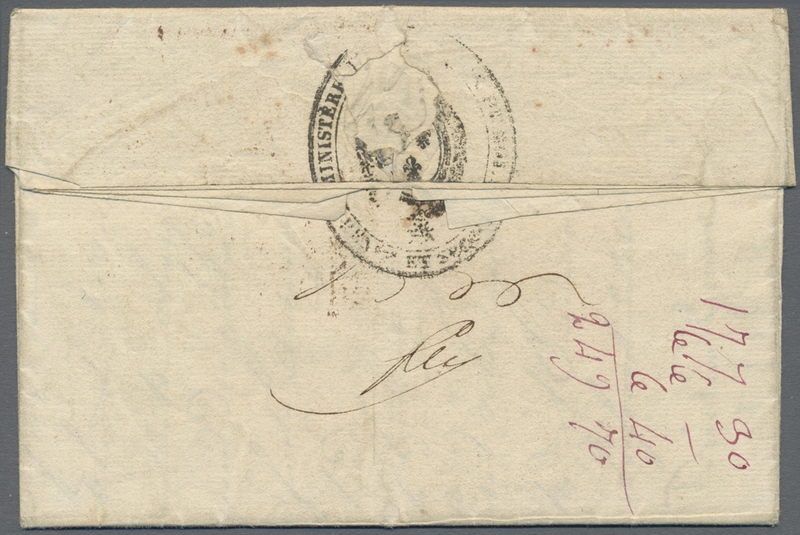 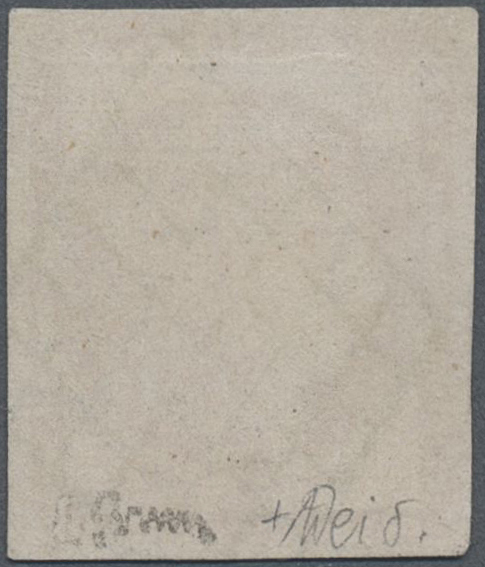 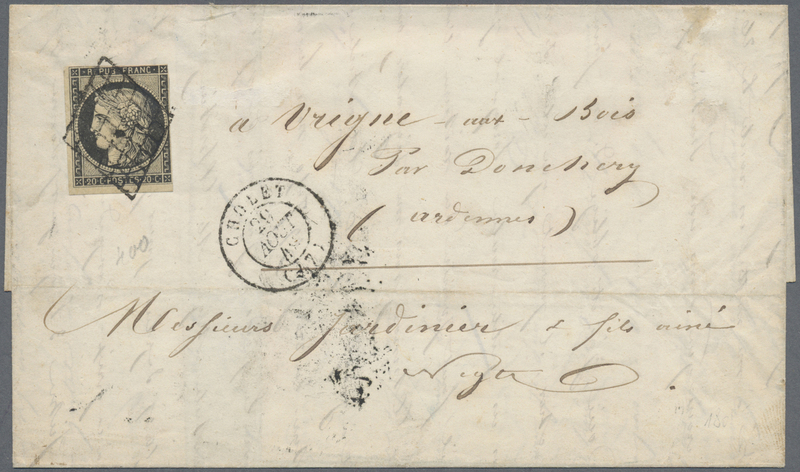 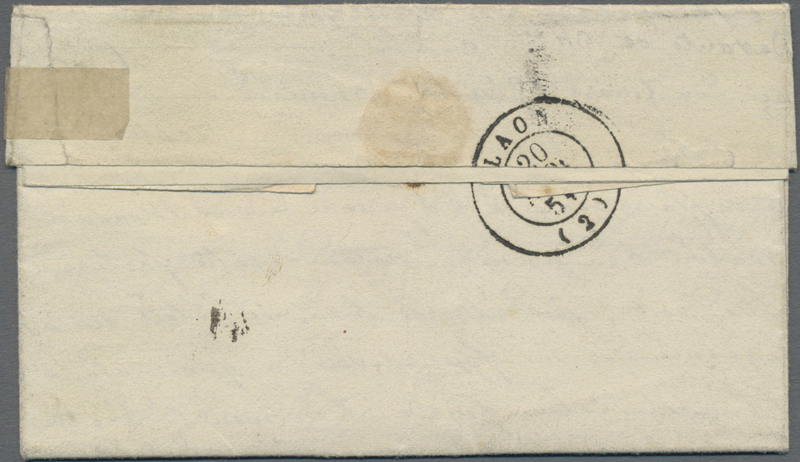 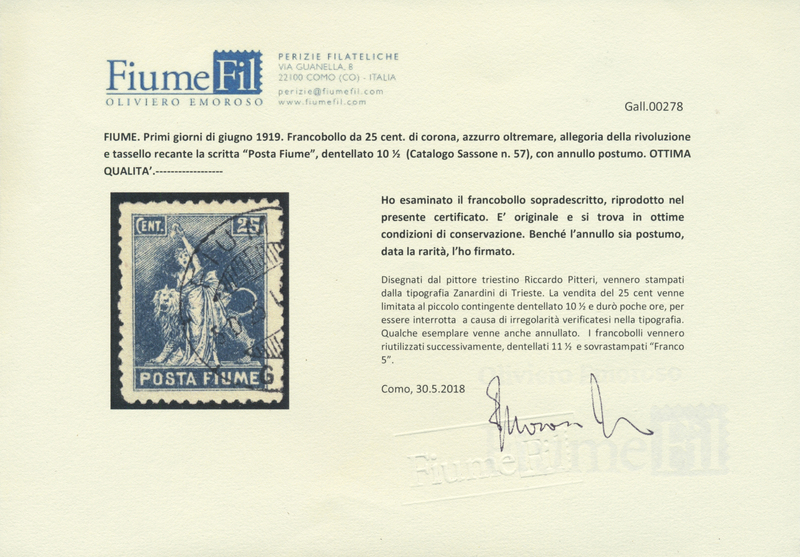 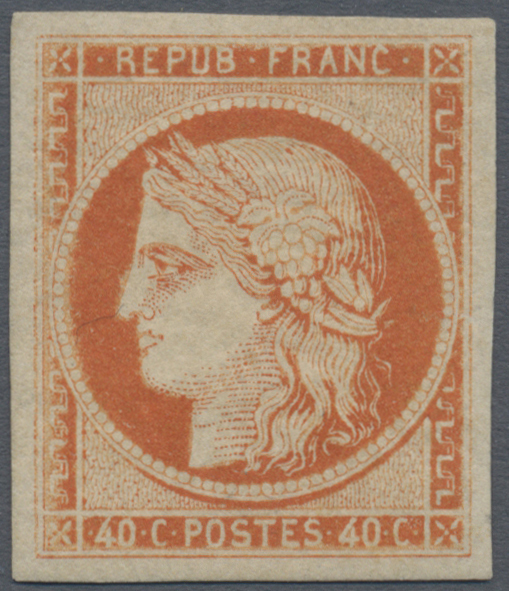 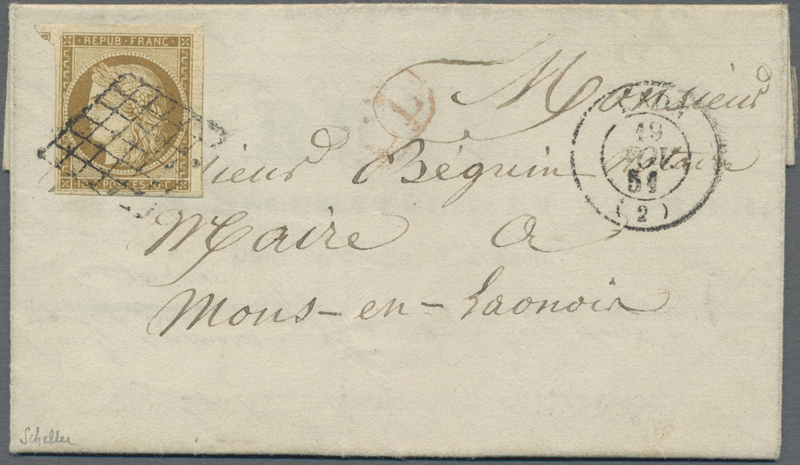 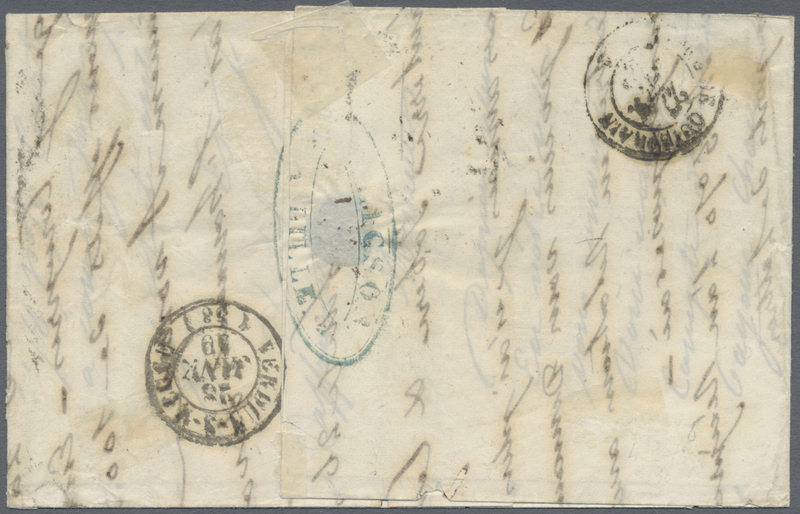 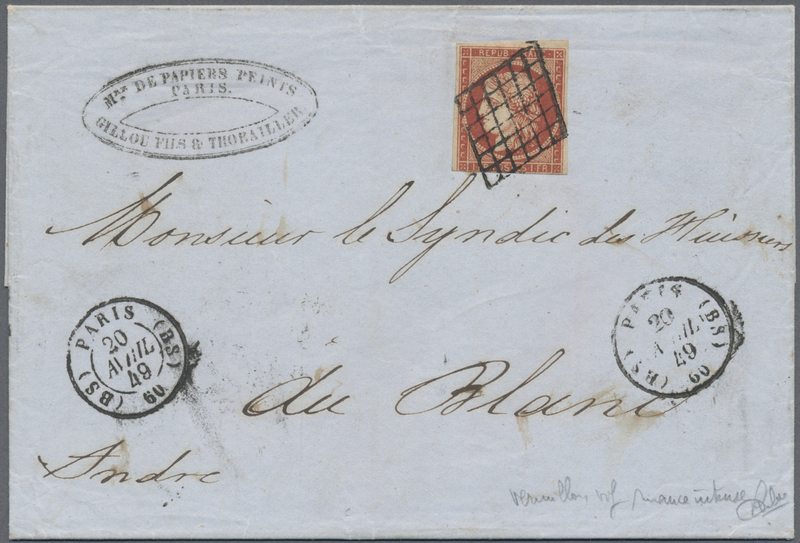 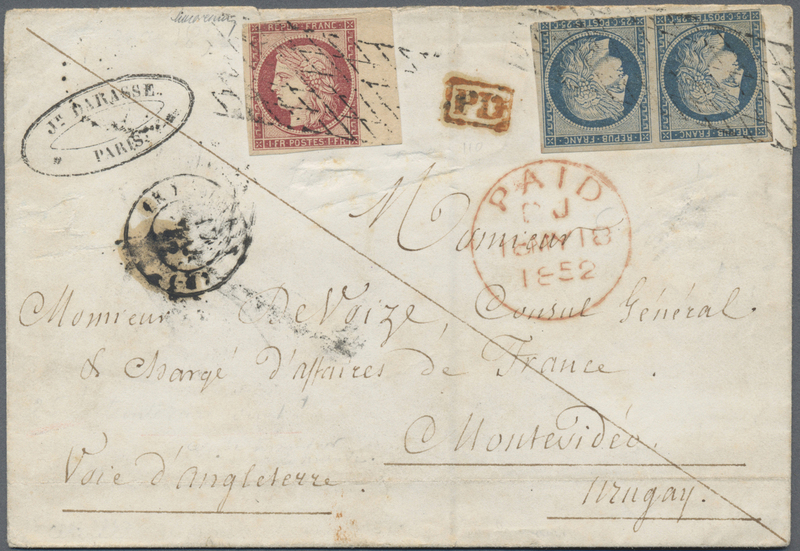 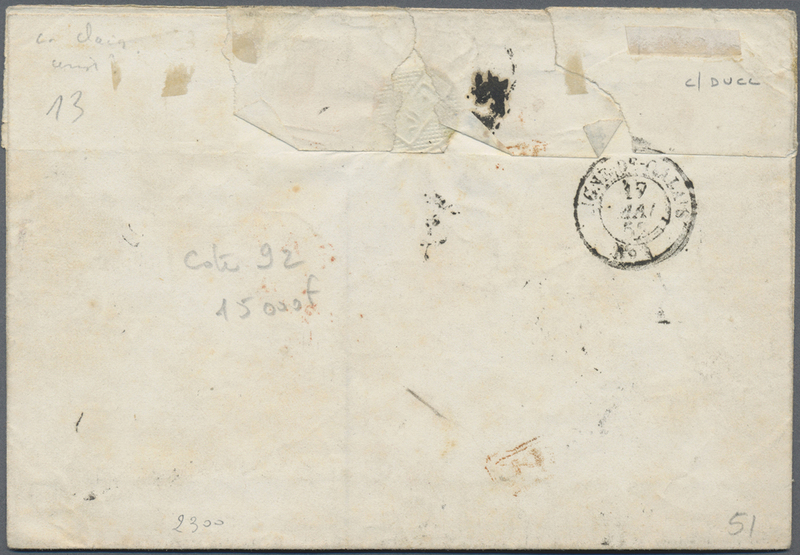 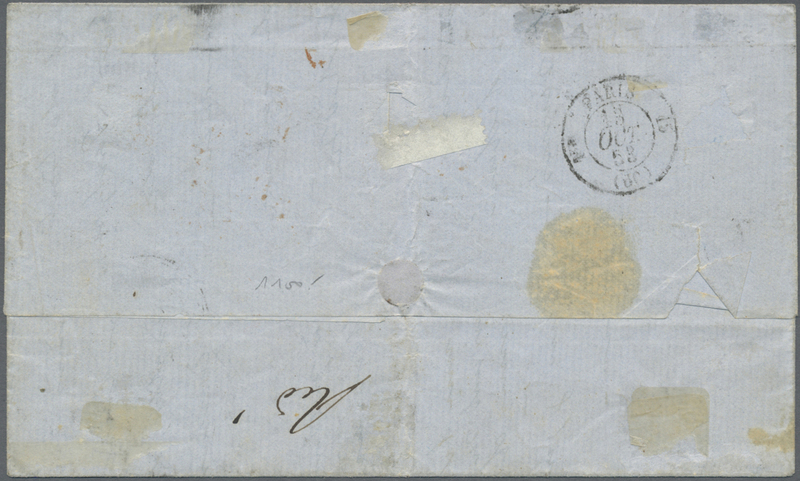 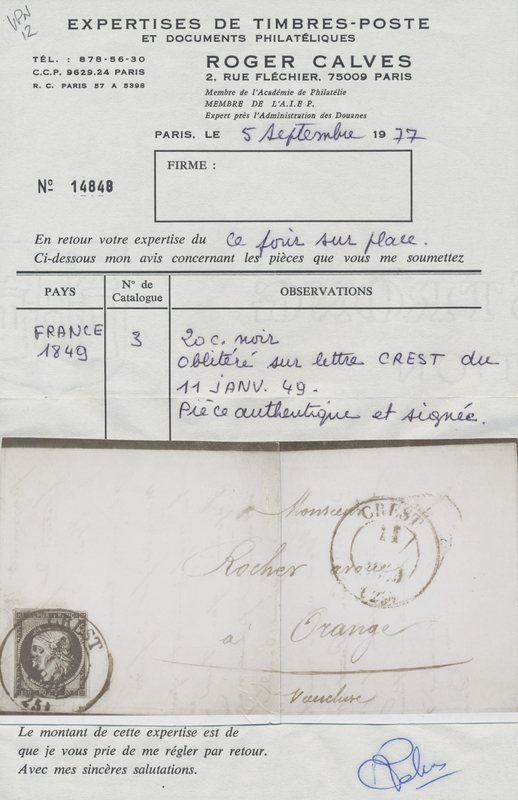 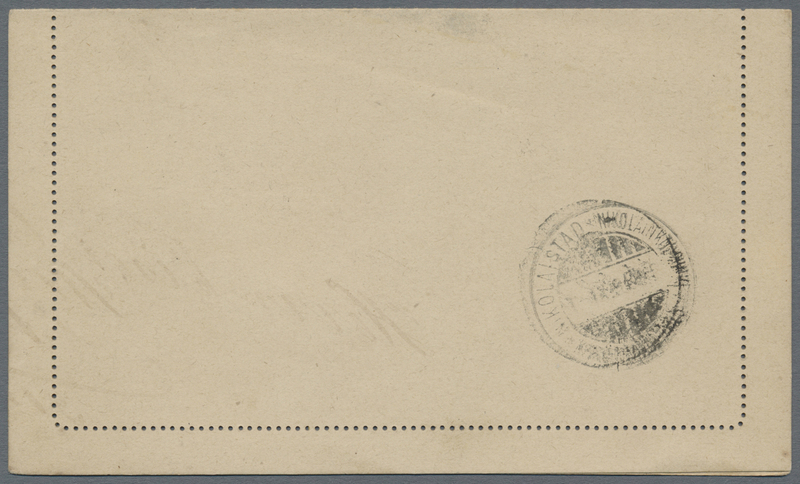 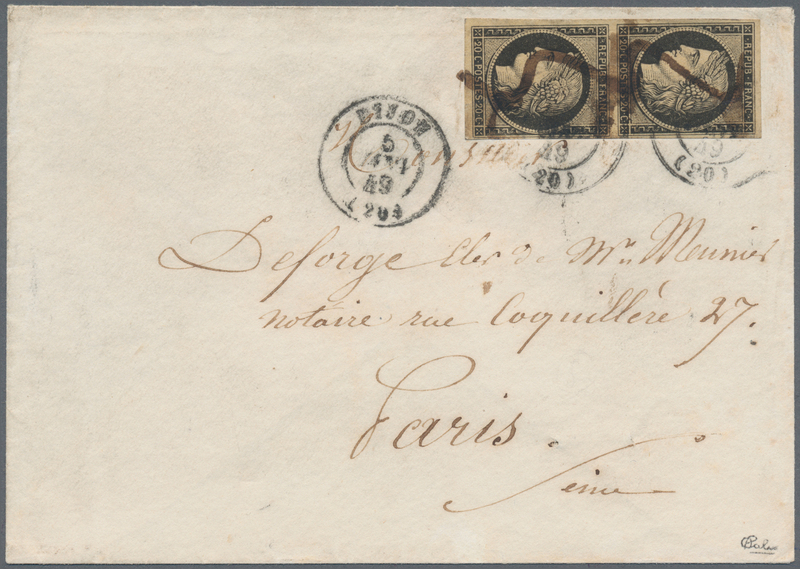 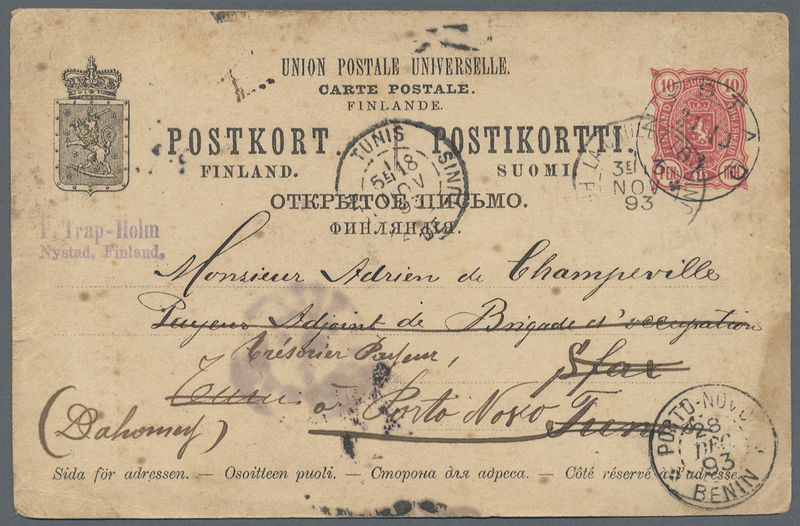 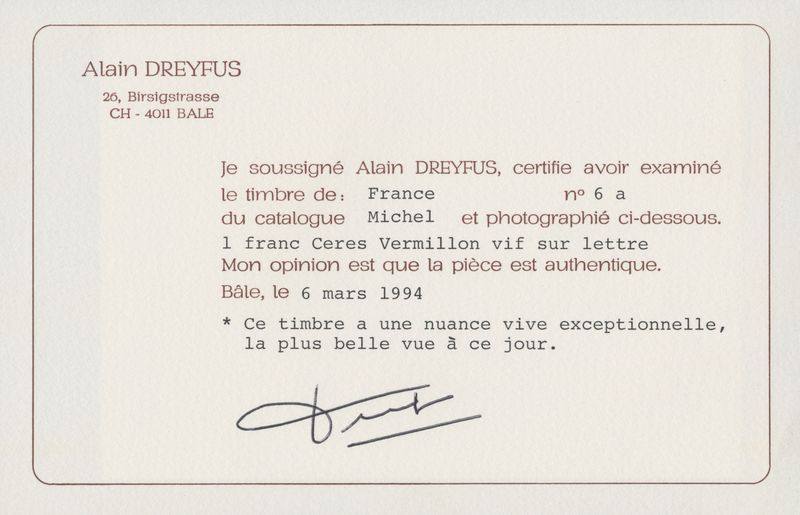 15514 Brief (cover) Yvert, 4, 6 1849/50, Ceres 1 Fr. 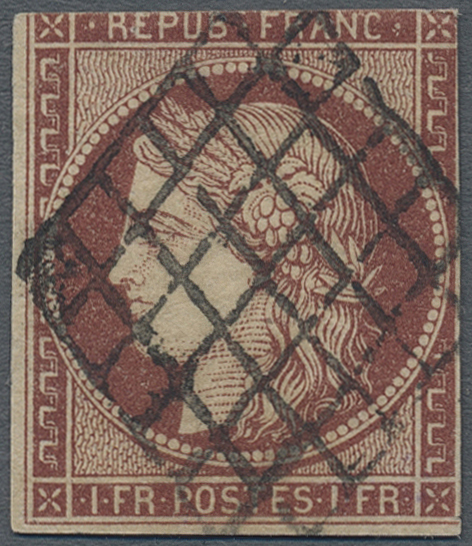 carmine, 25 C. blue (pair) canc. 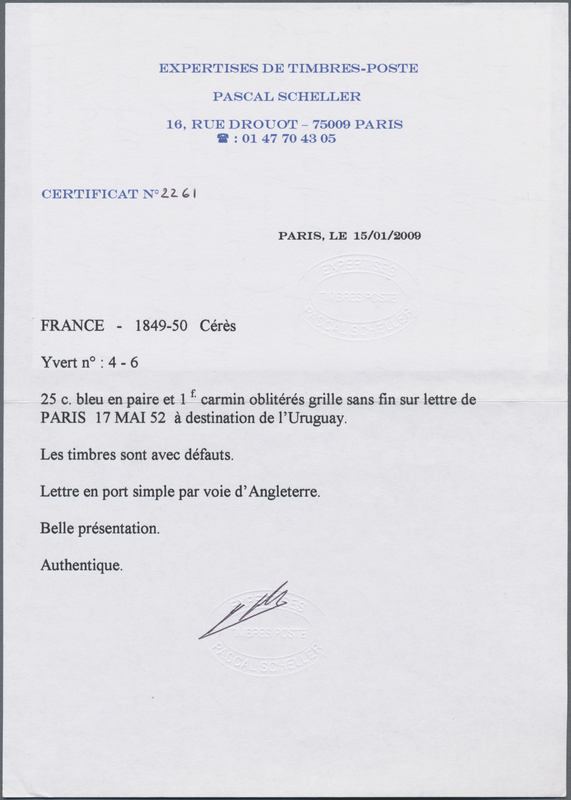 endless grill to folded envelope from "PARIS 17 MAI 52" to Montevideo/Uruguay, endorsed "Voie d'Angleterre". 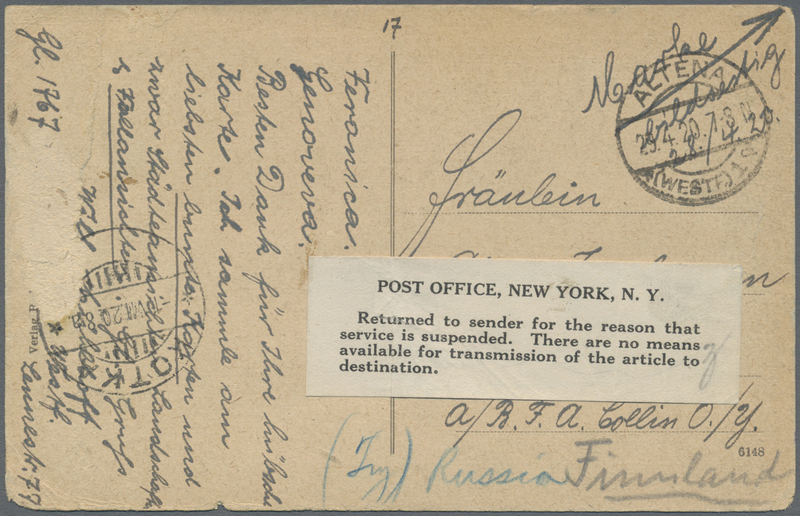 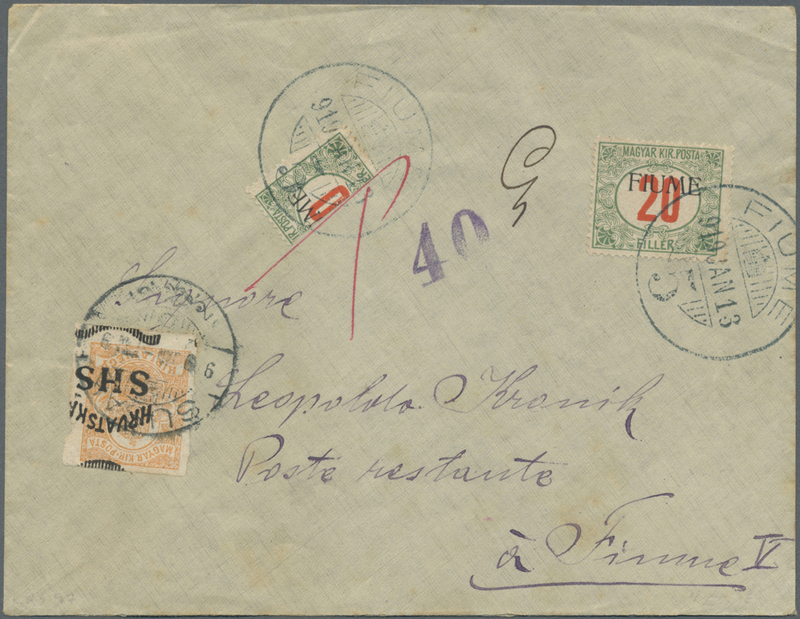 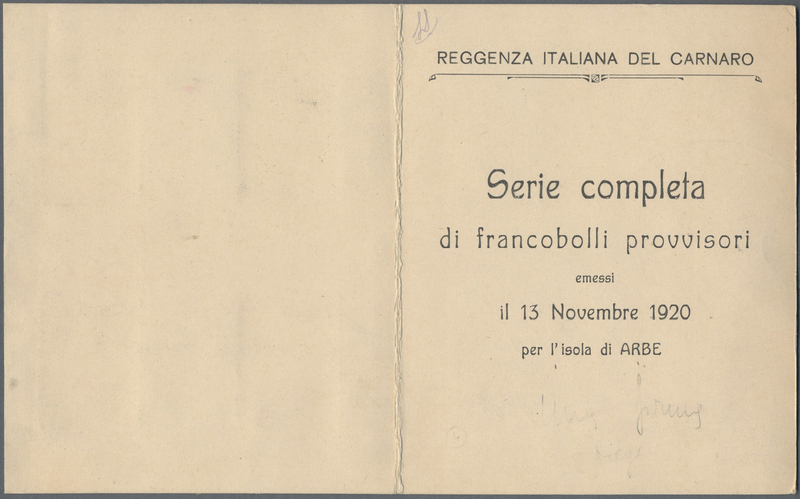 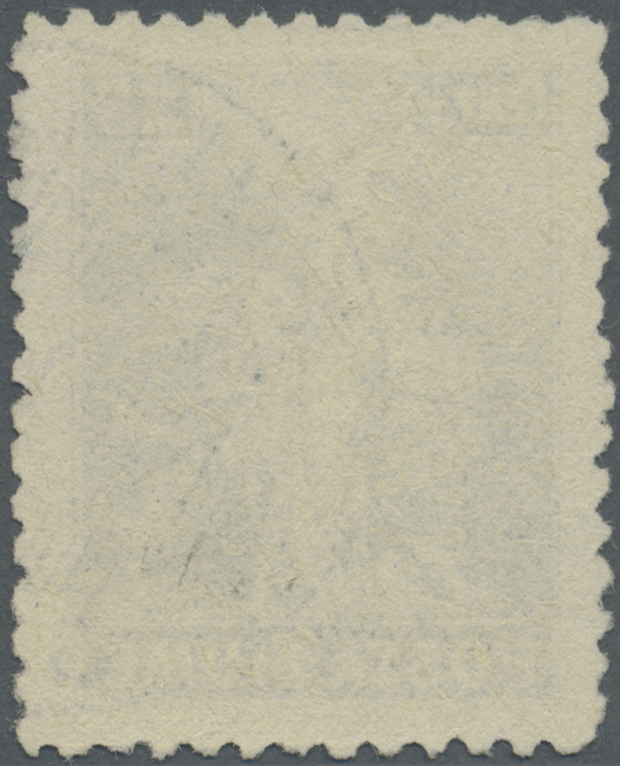 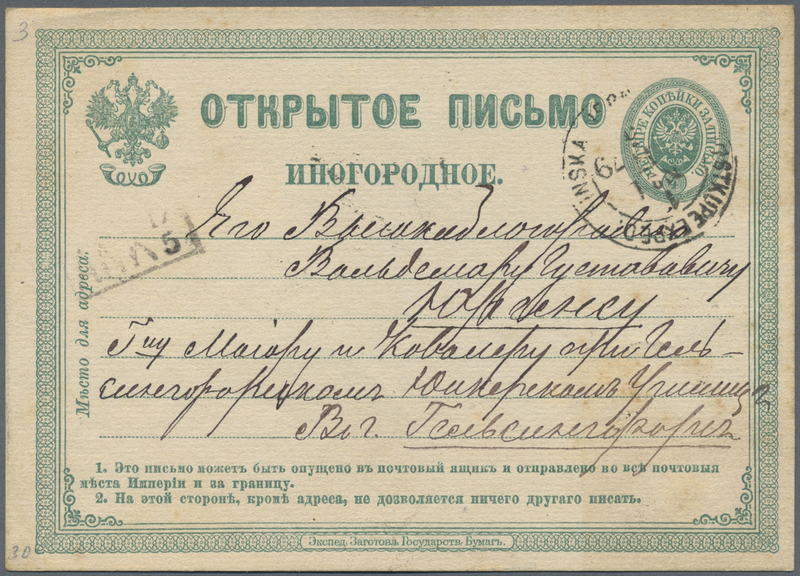 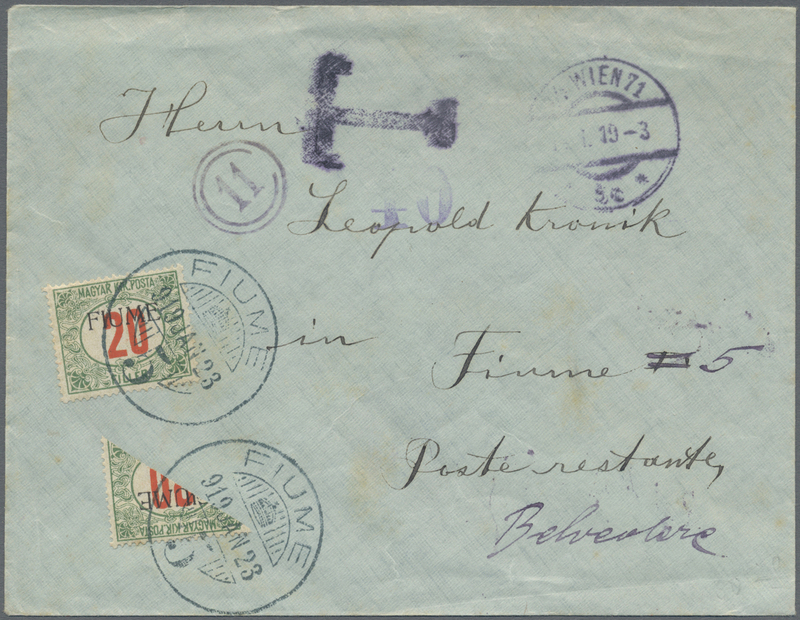 The basic 1.50 rate to Uruguay, to the Consul General of France. 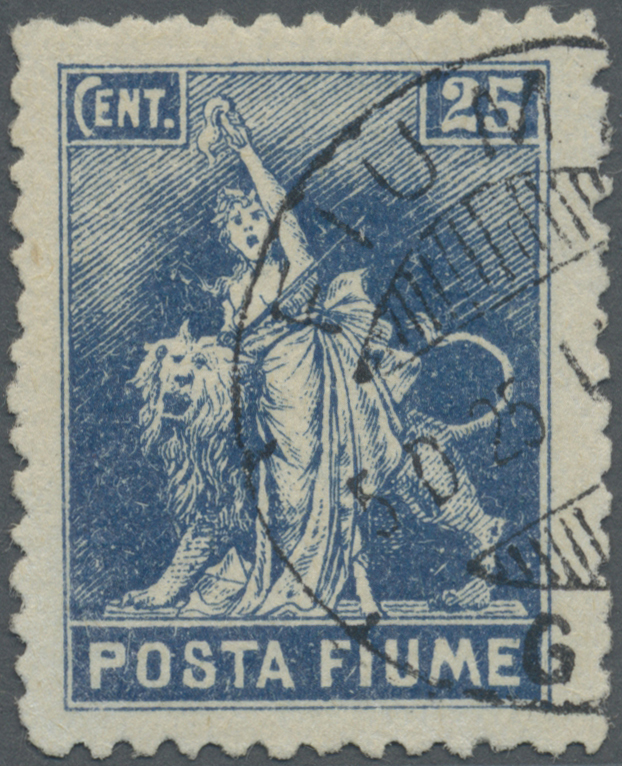 Stamps slight faults, cert. 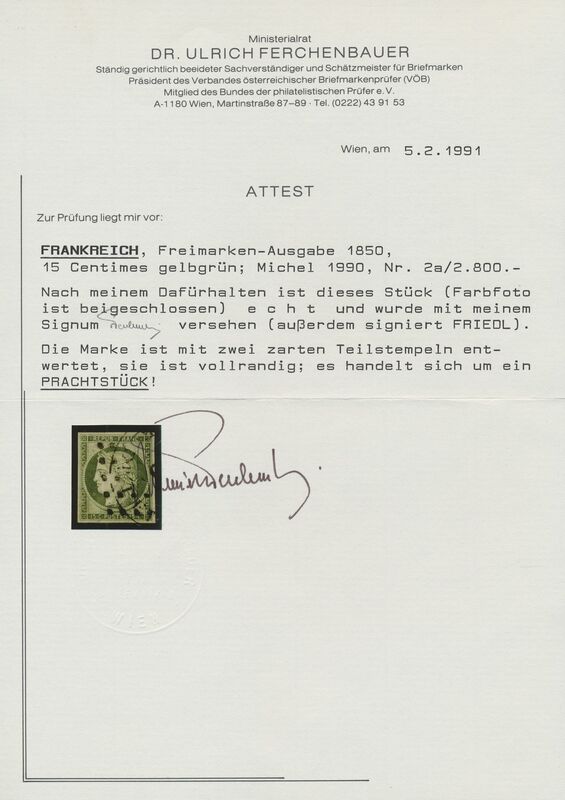 Scheller (2009).